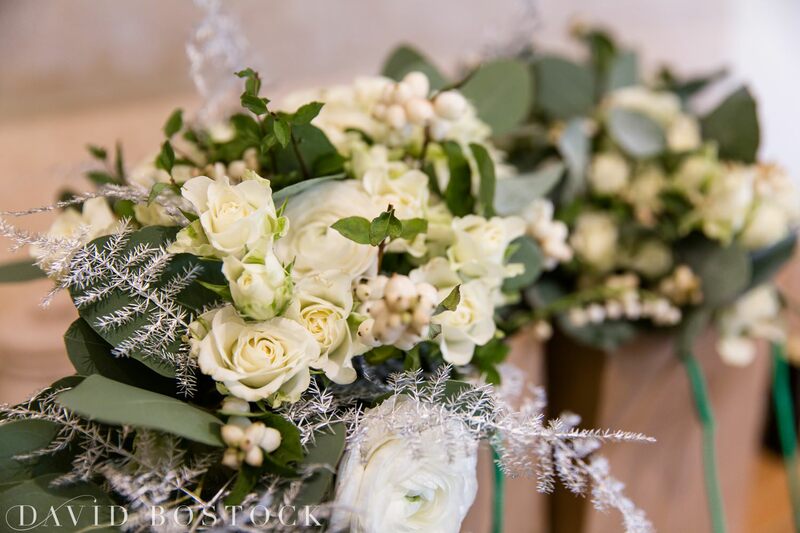 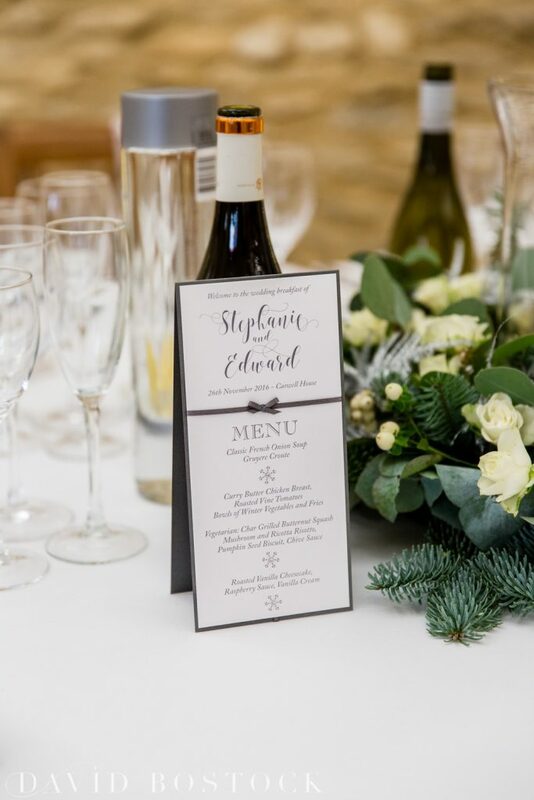 Stephanie and Eddie created a classic sliver and white wonderland for their Caswell House winter wedding, you can check out their wedding photos below. 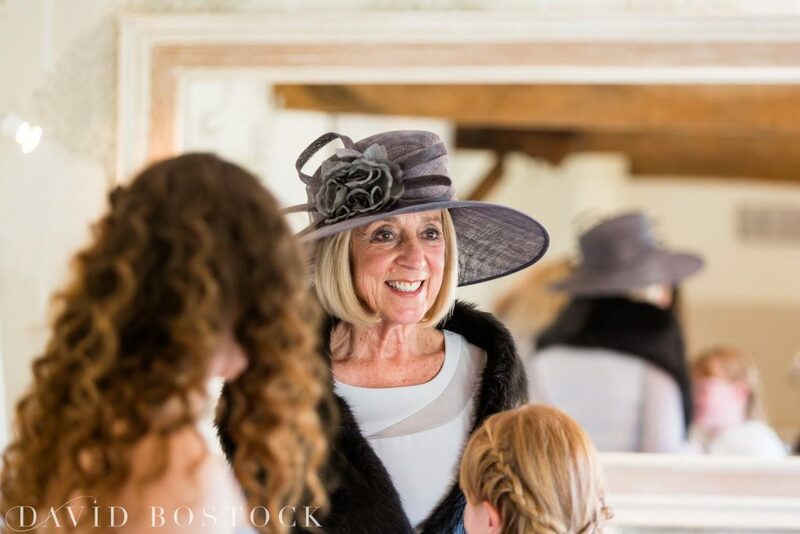 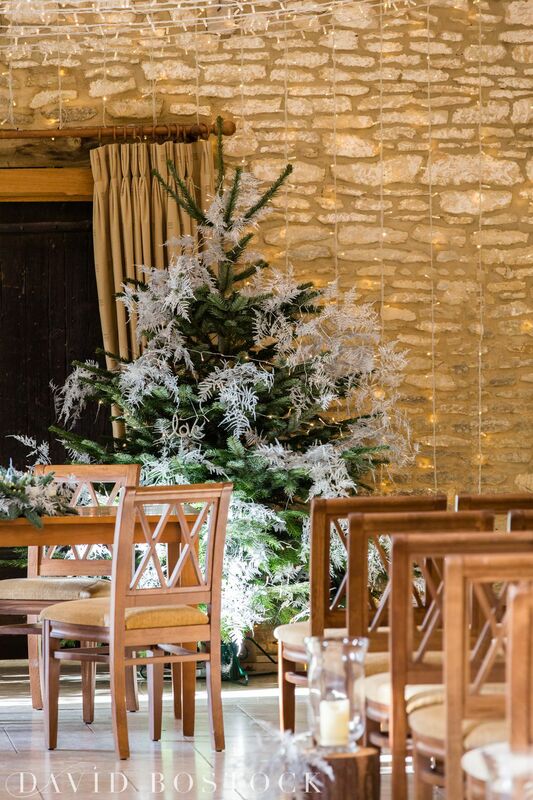 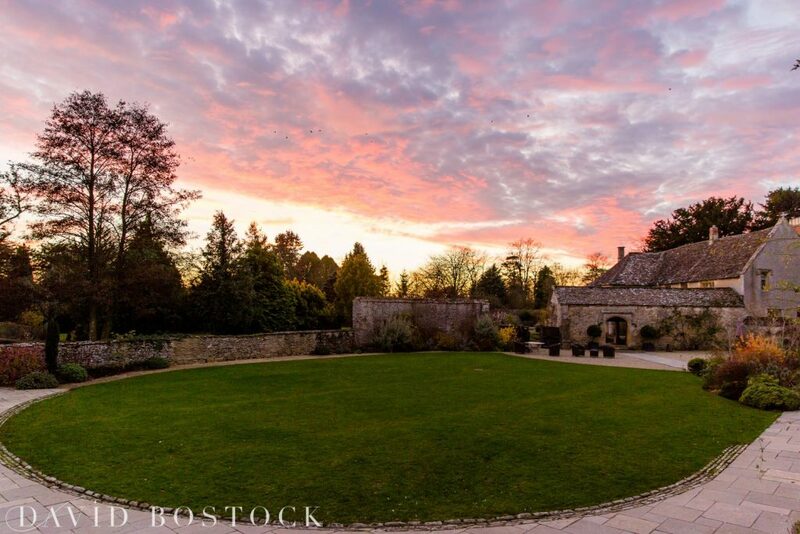 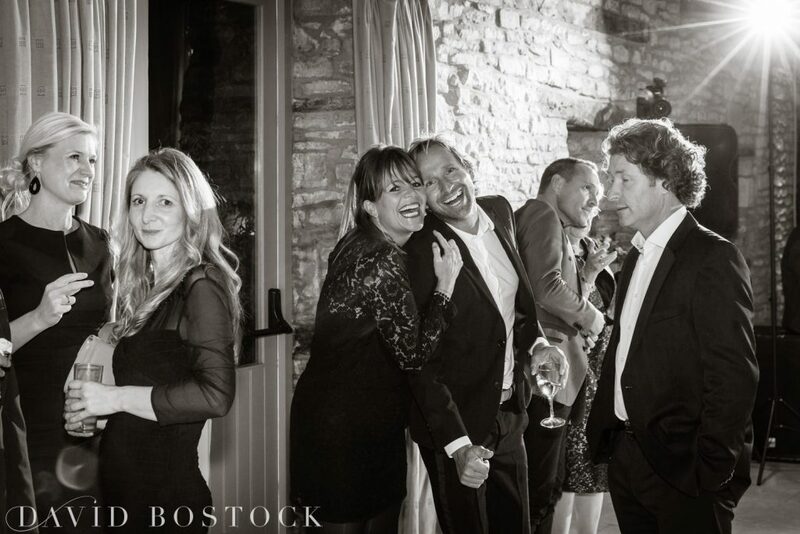 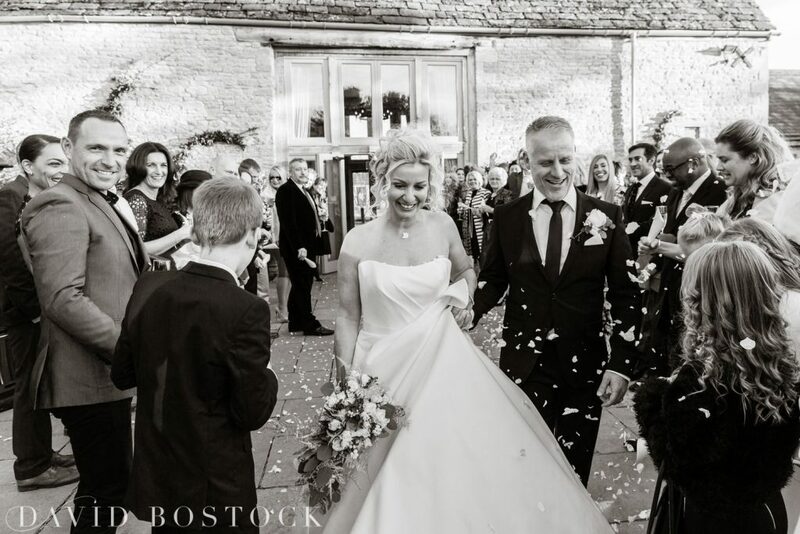 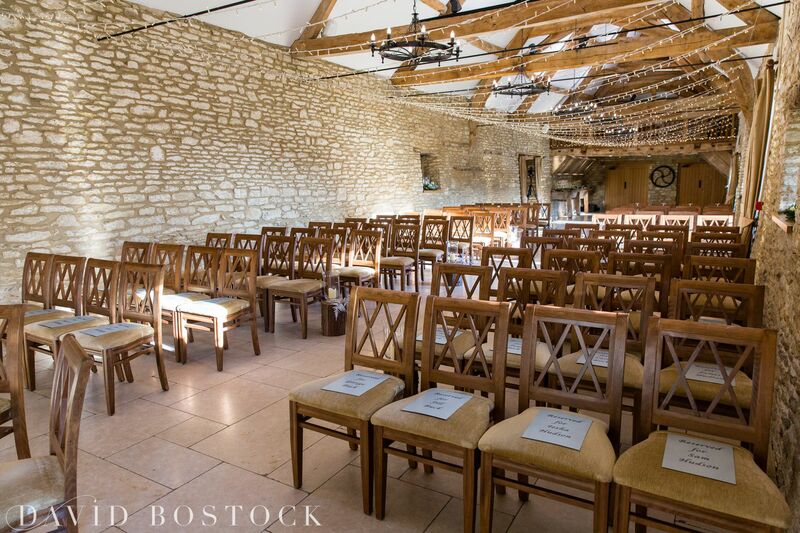 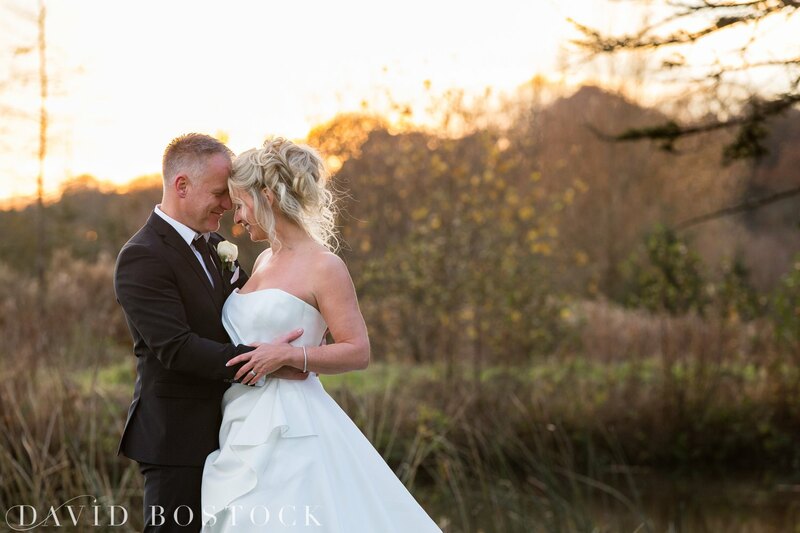 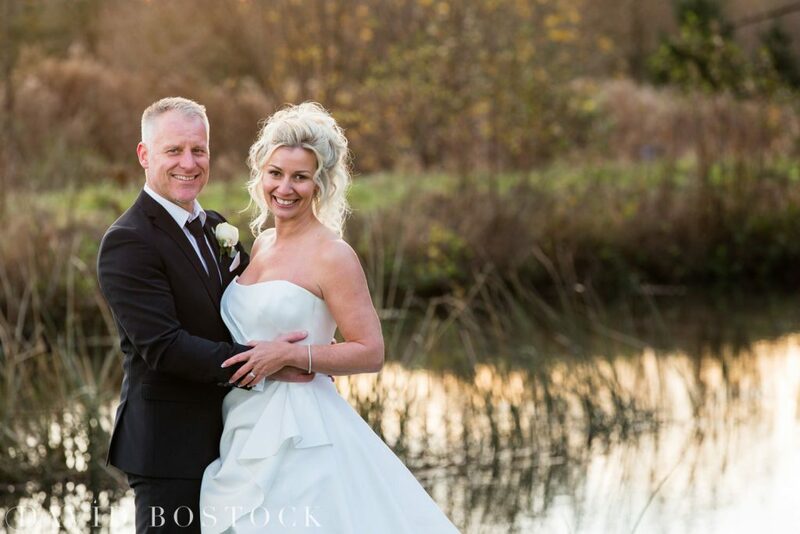 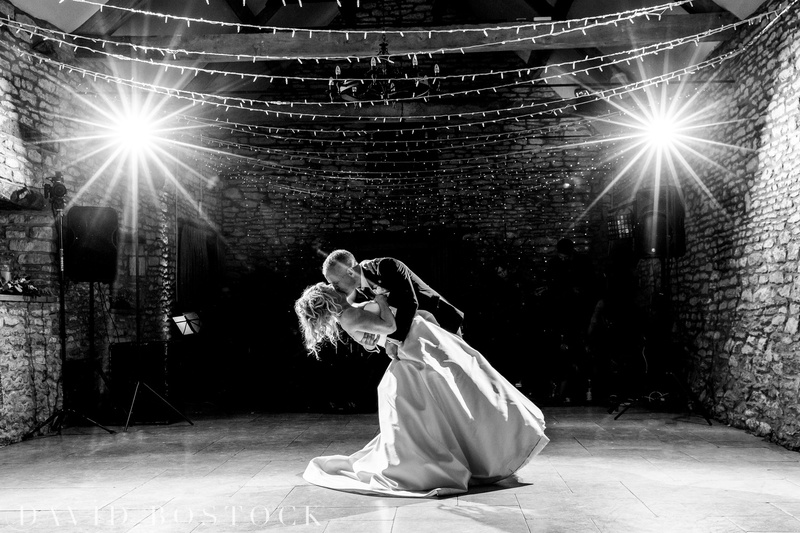 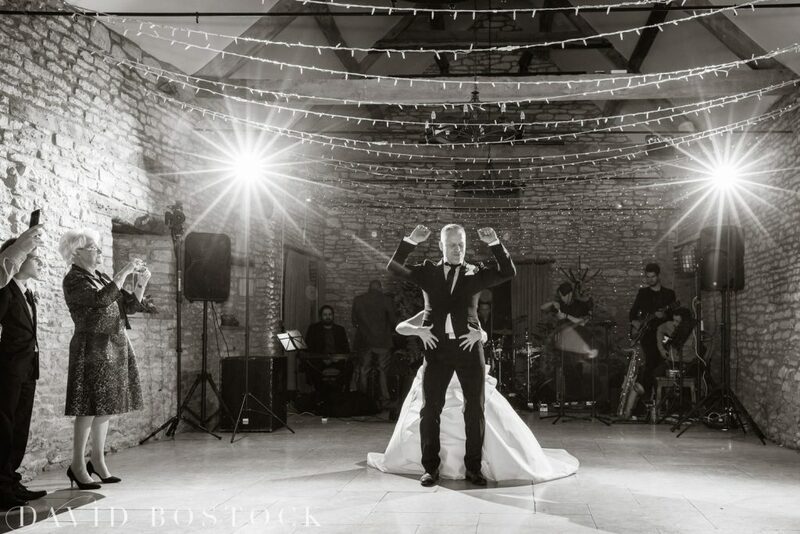 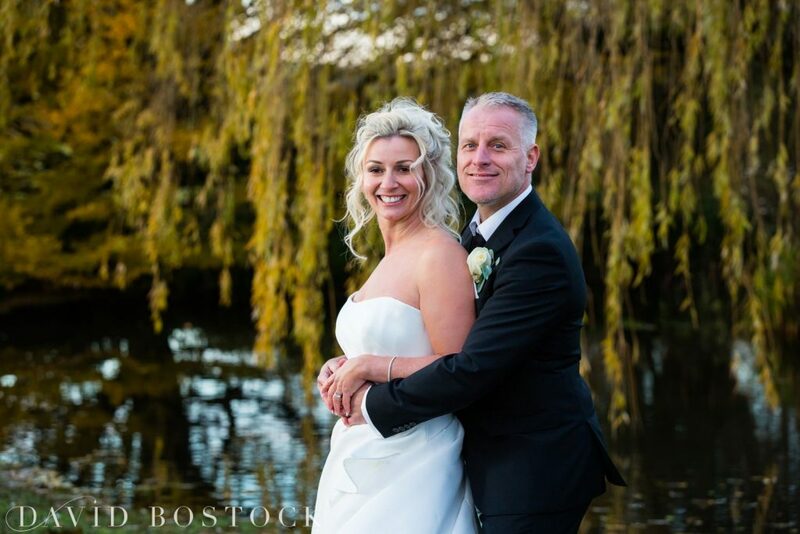 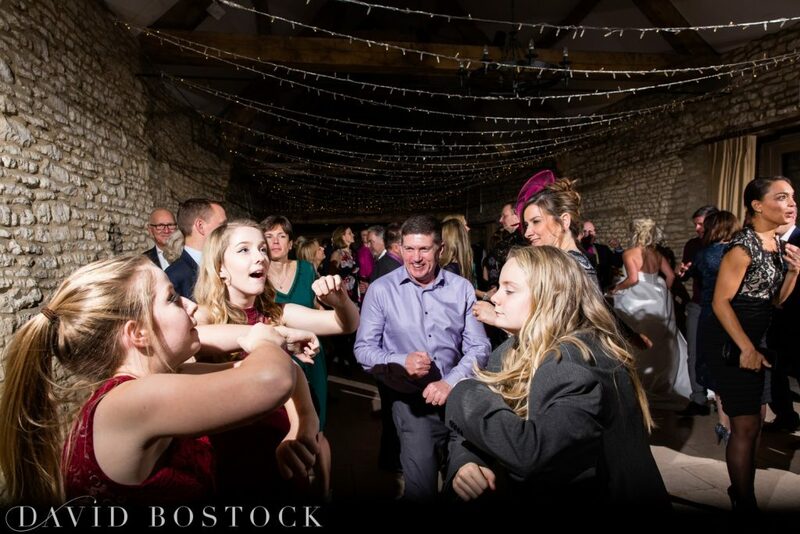 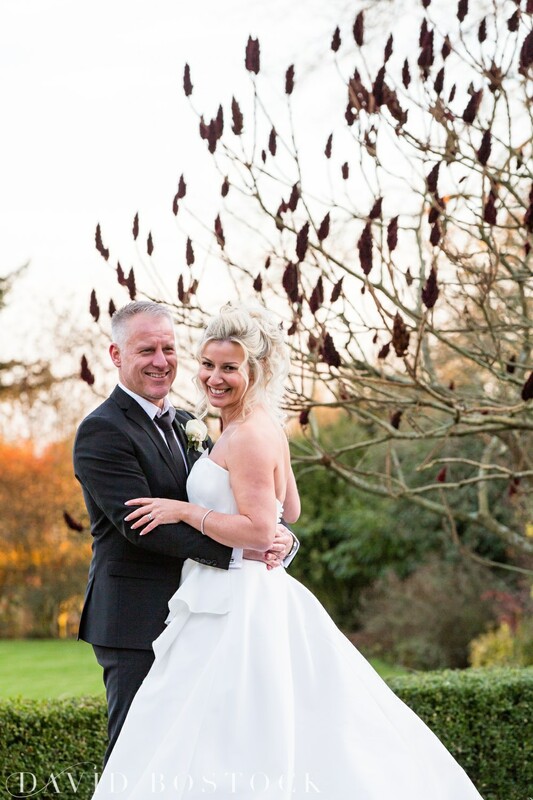 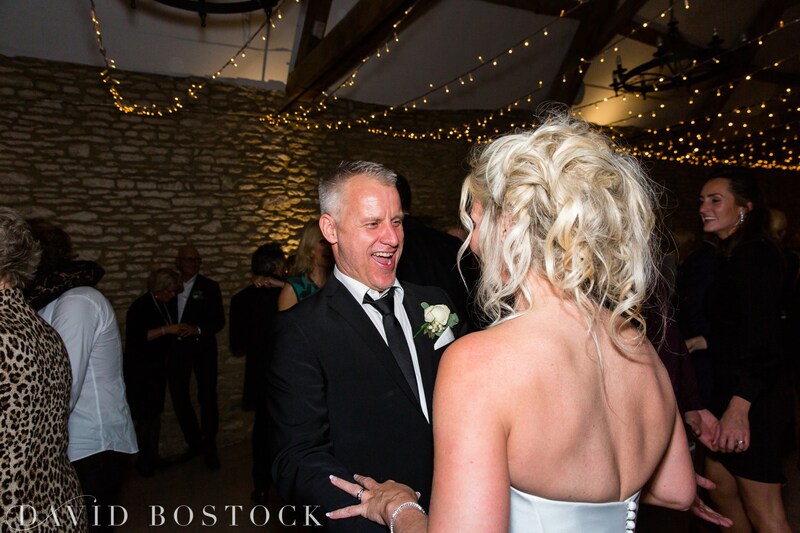 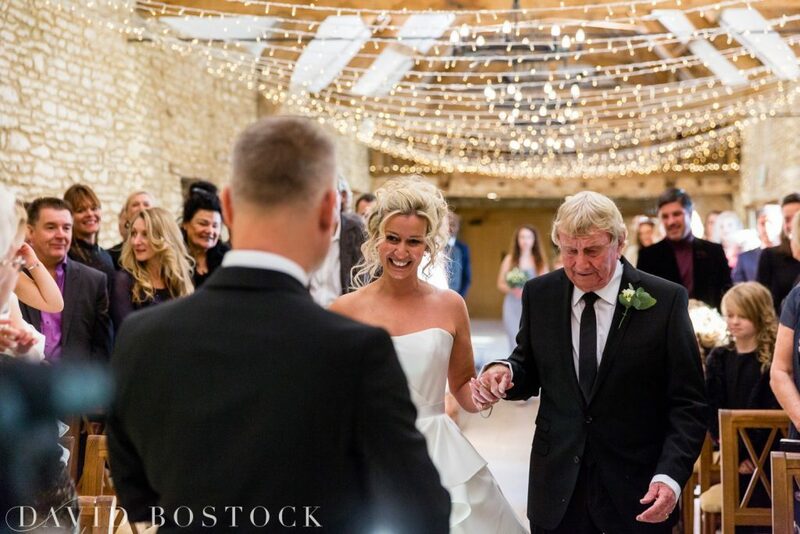 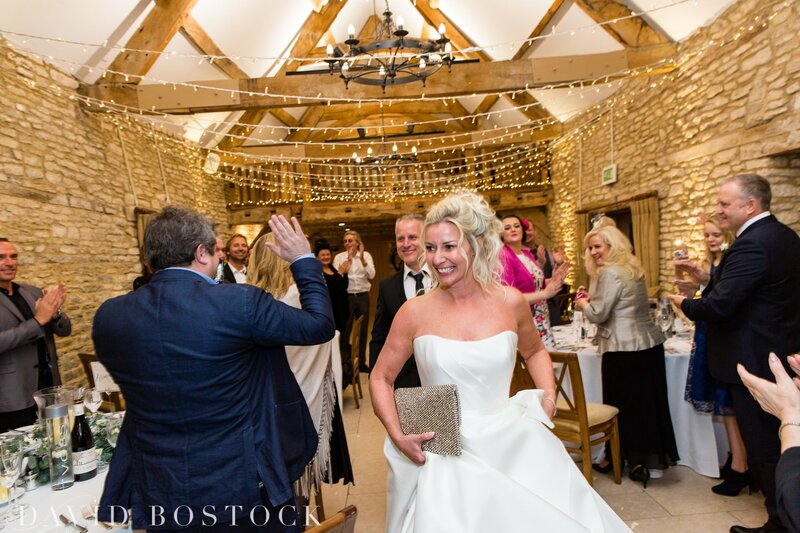 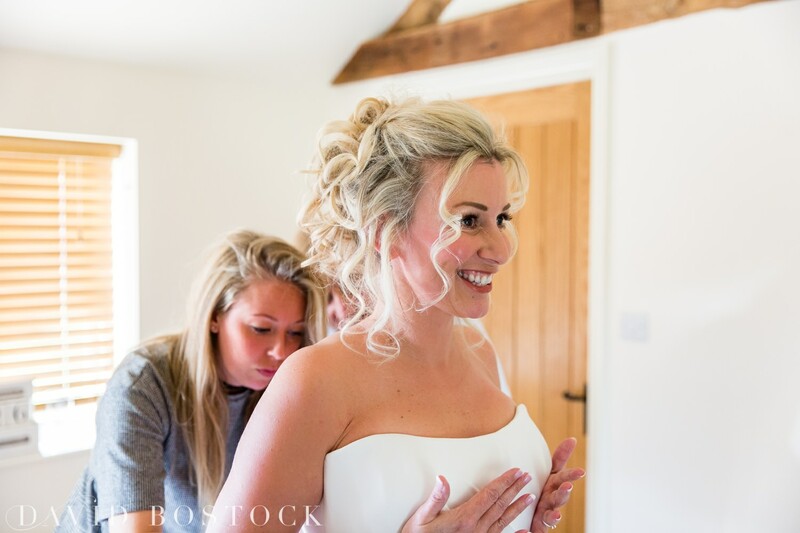 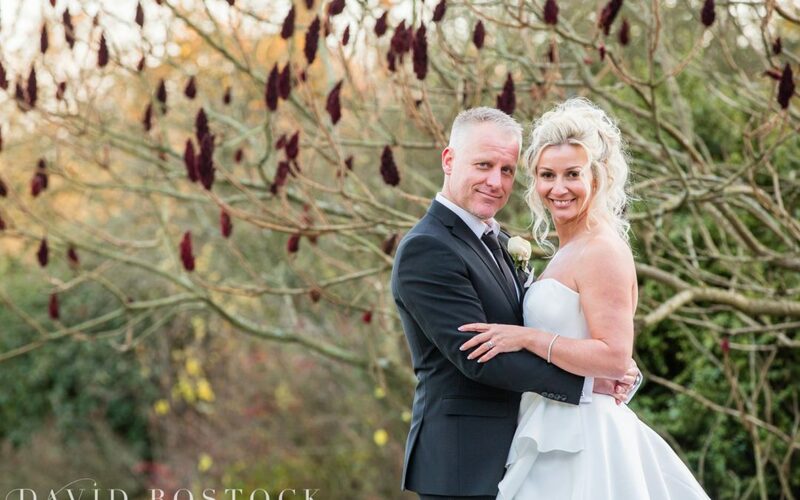 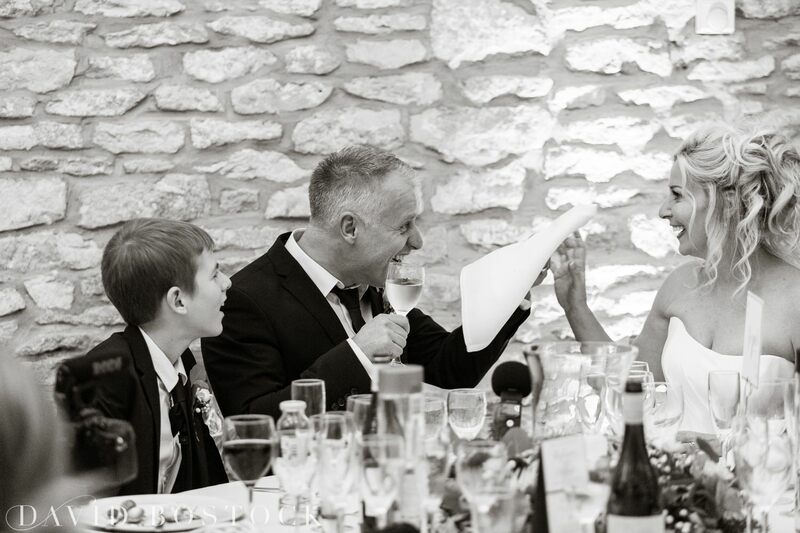 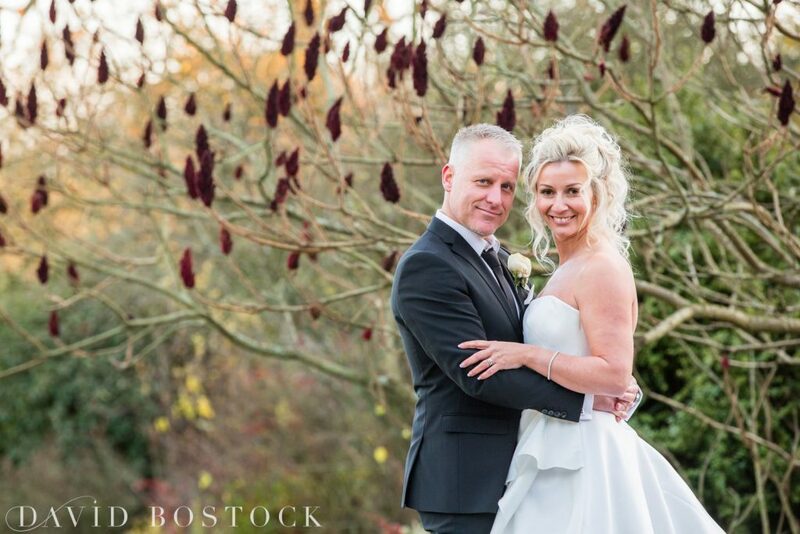 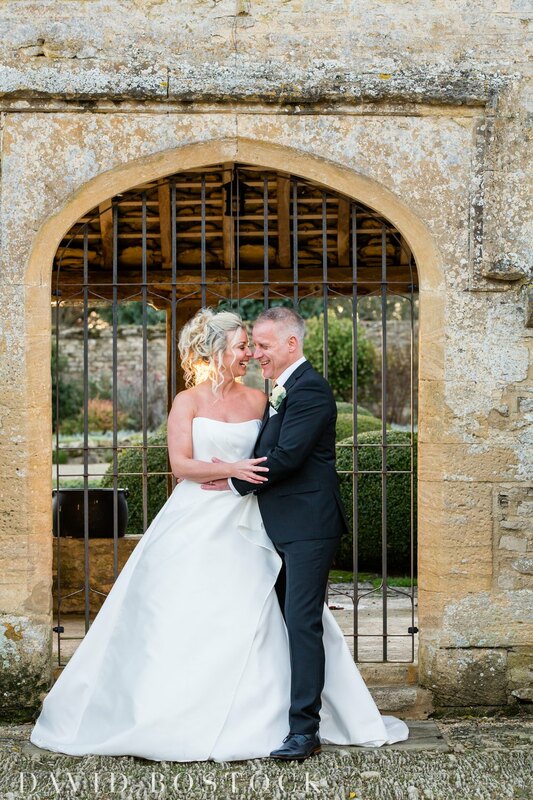 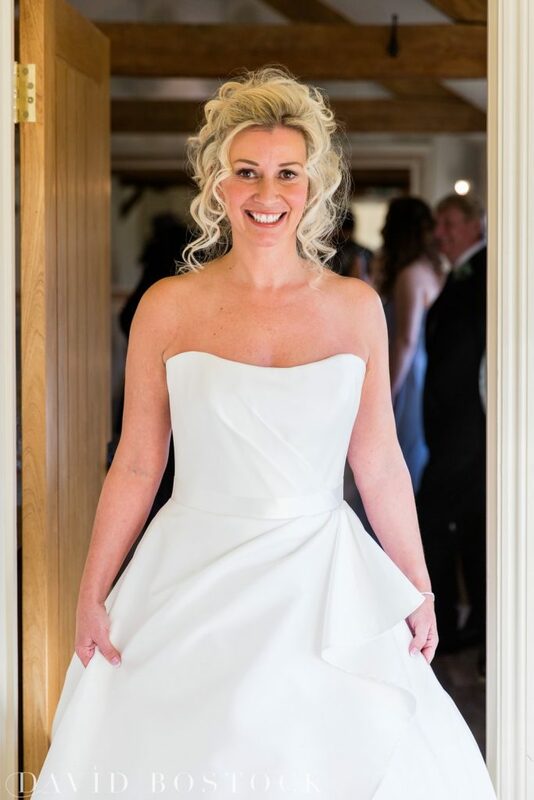 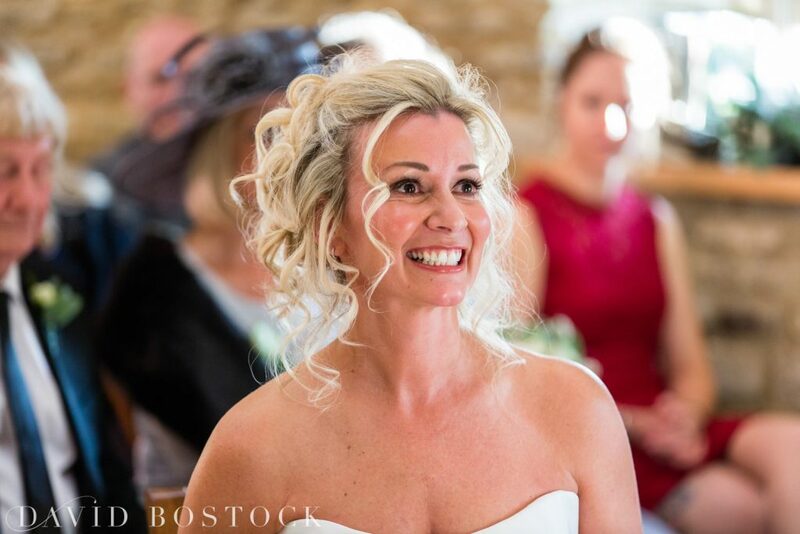 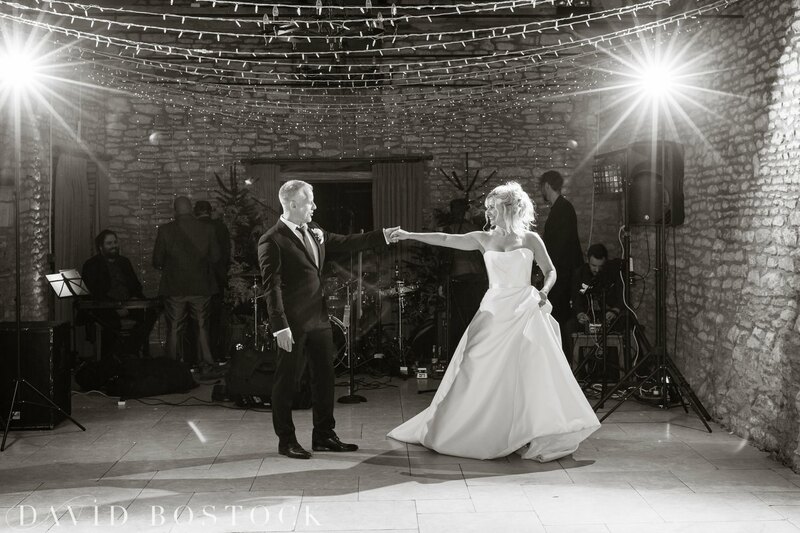 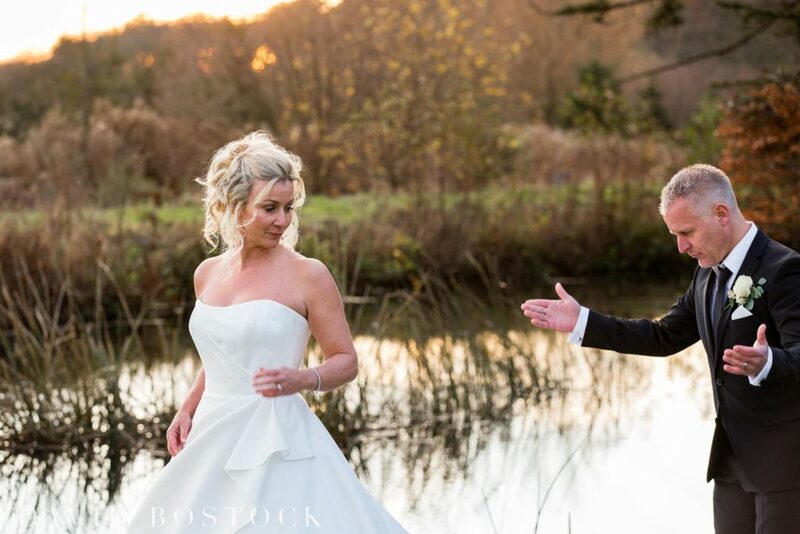 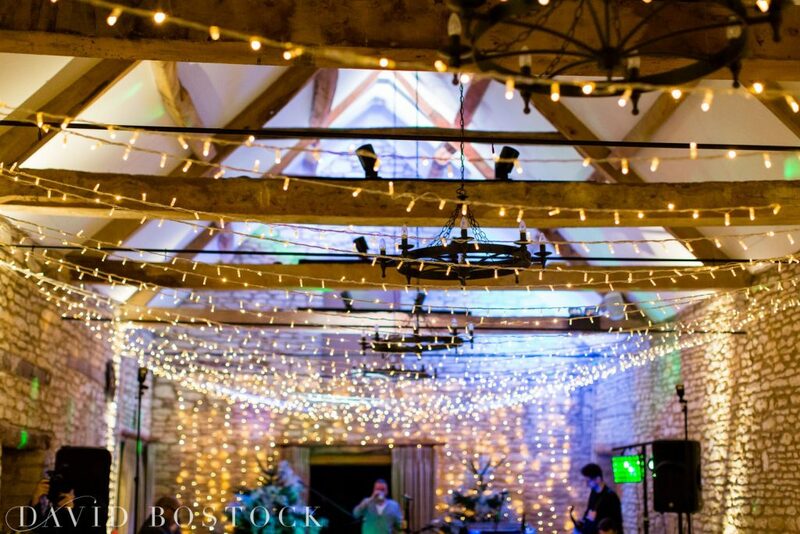 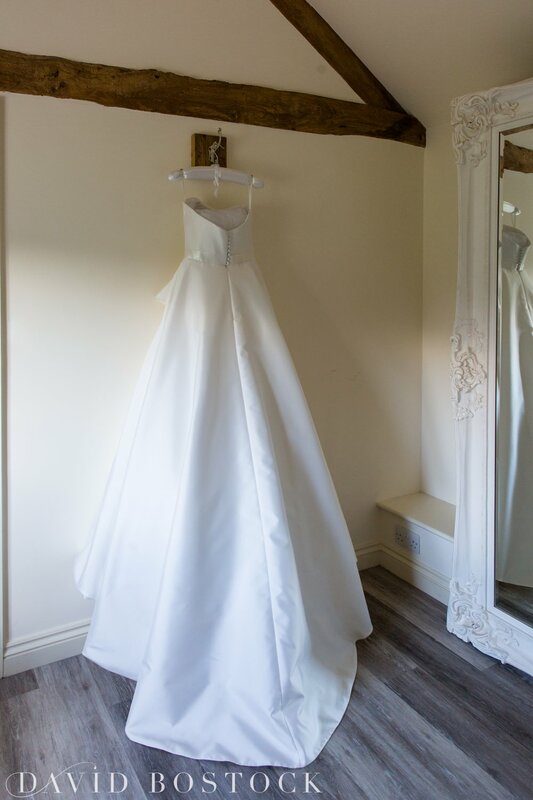 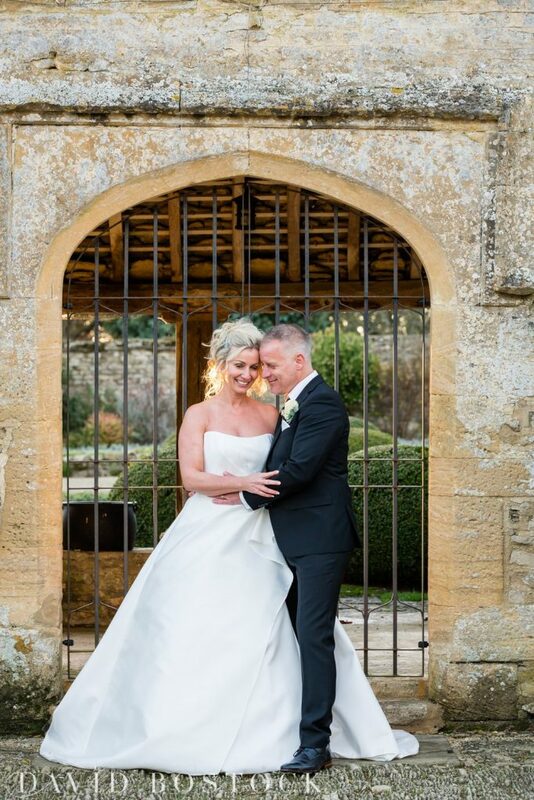 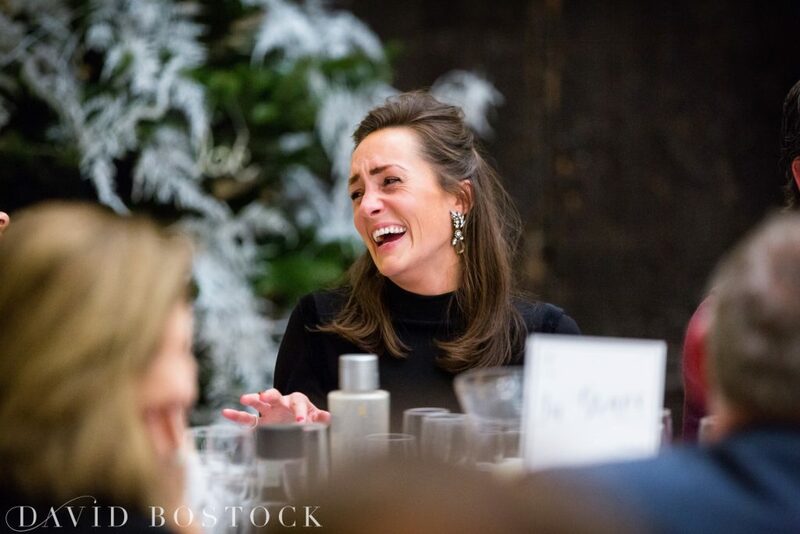 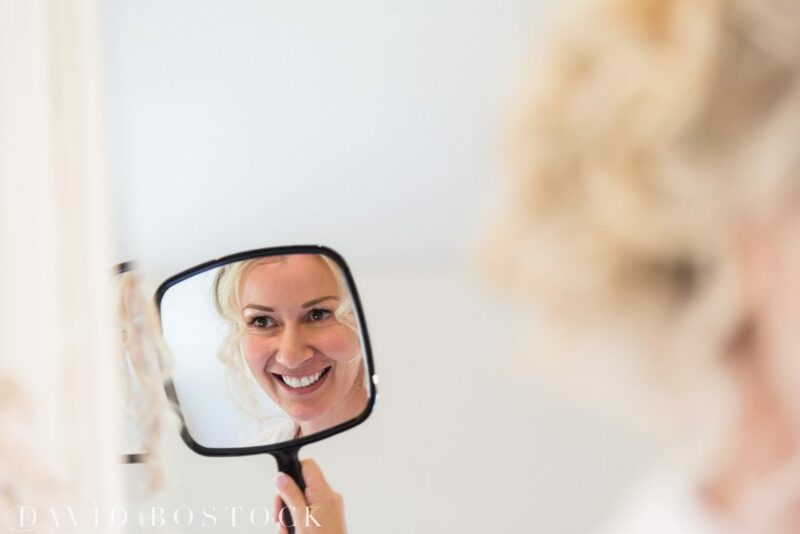 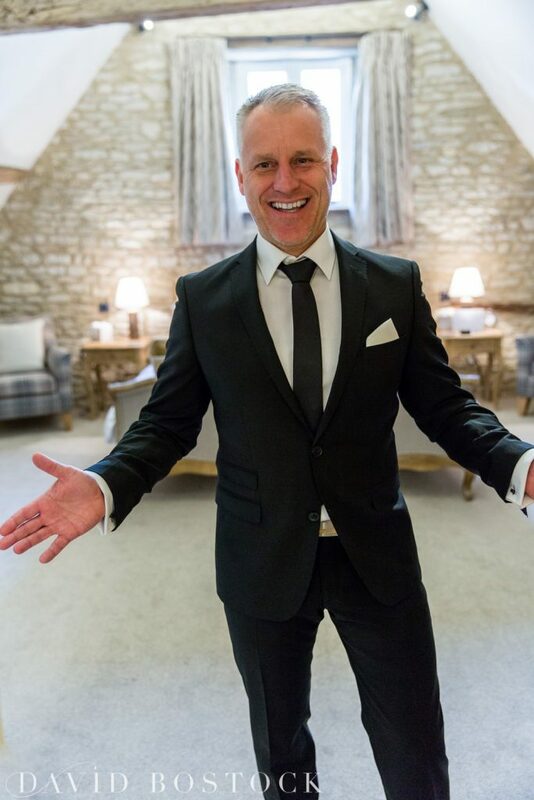 Caswell House is a lovely converted barn venue which provides the perfect blank canvas for couples to put their stamp on, whether it be a rustic spring do or like Stephanie and Eddie, a chic mid winter party. 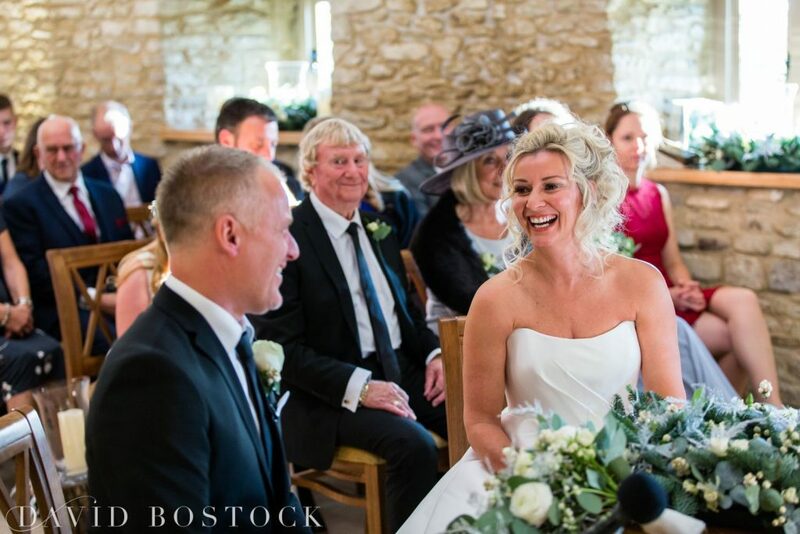 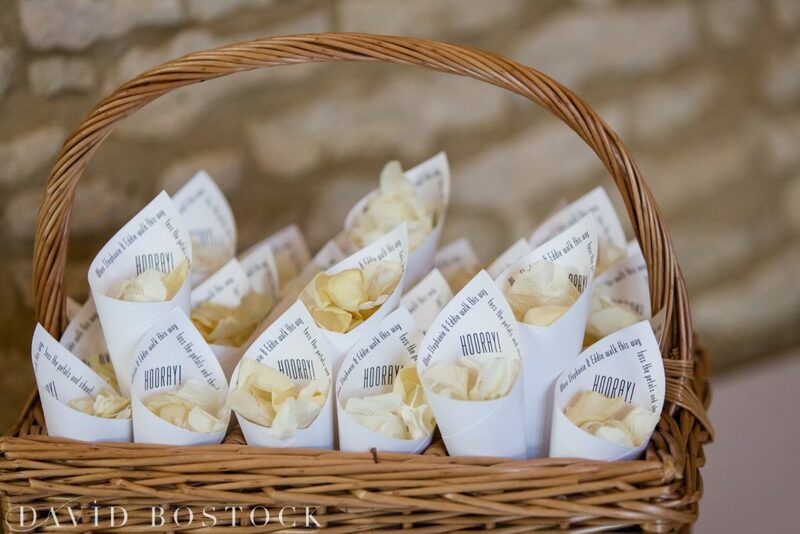 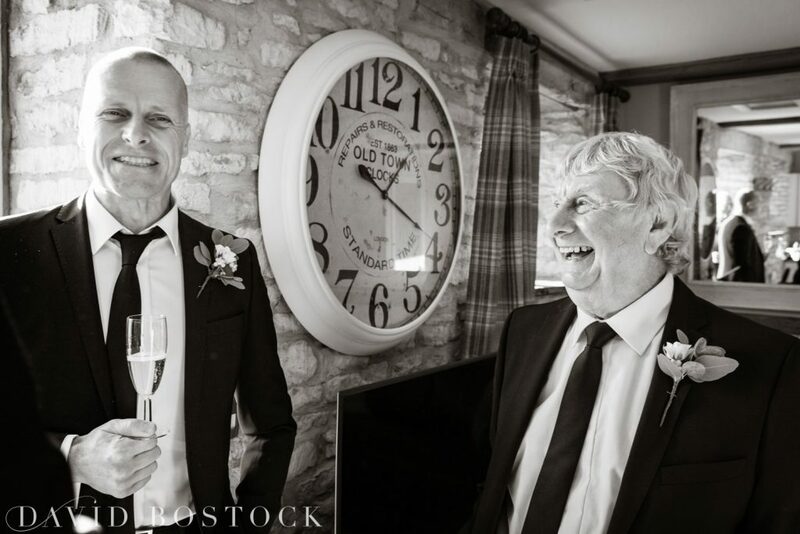 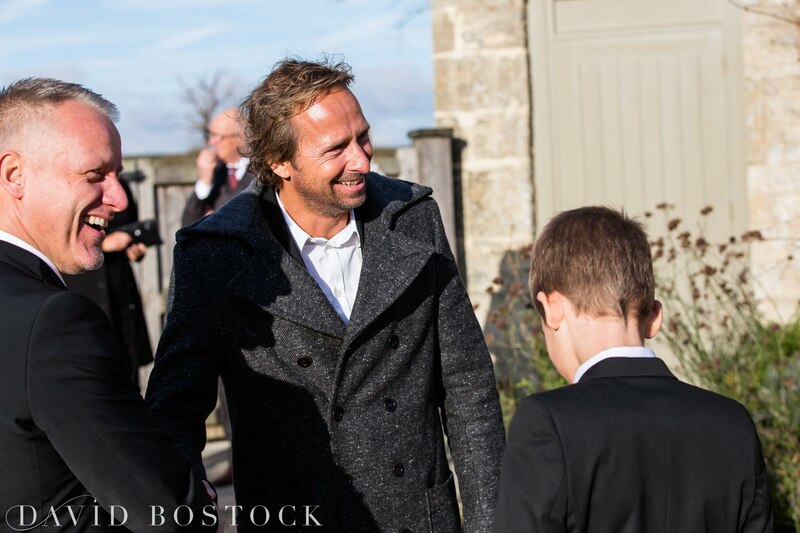 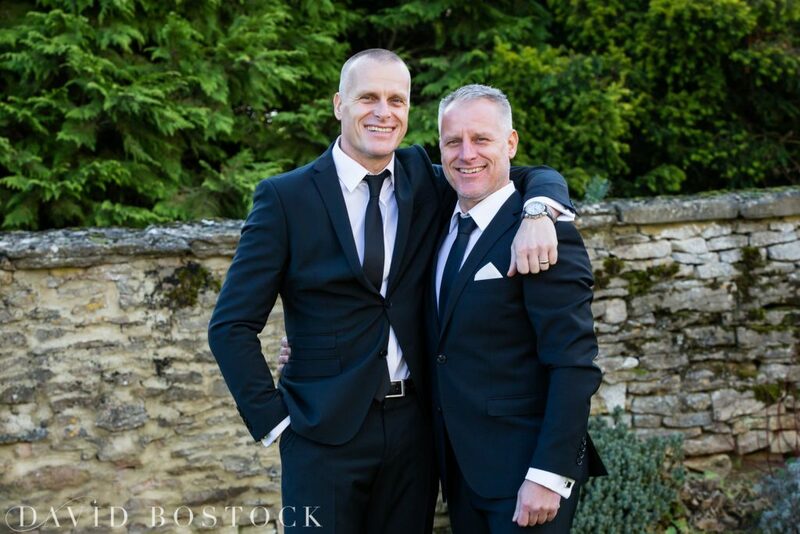 Eddie, the groom, is dutch and the couple now live in Holland, so they wanted a classically English venue, and Caswell House definitely provided charm in buckets. 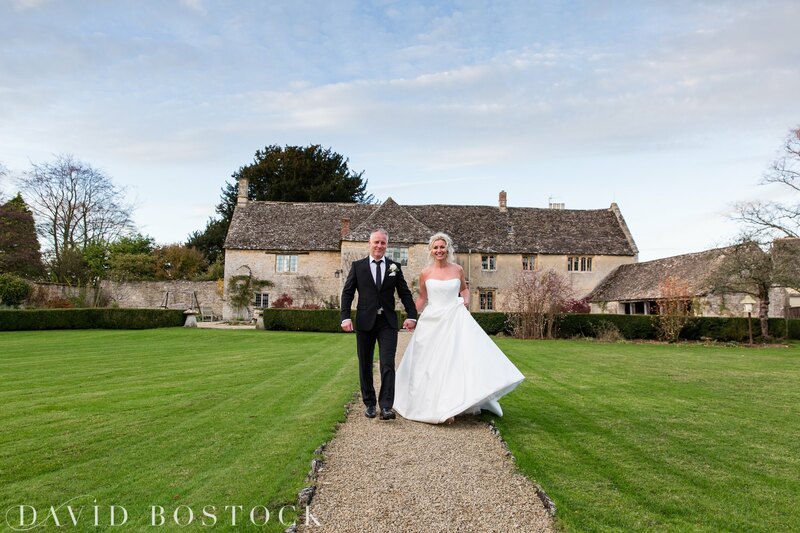 As did the weather, with a crisp chill in the air and blue skies as far as the eye could see. 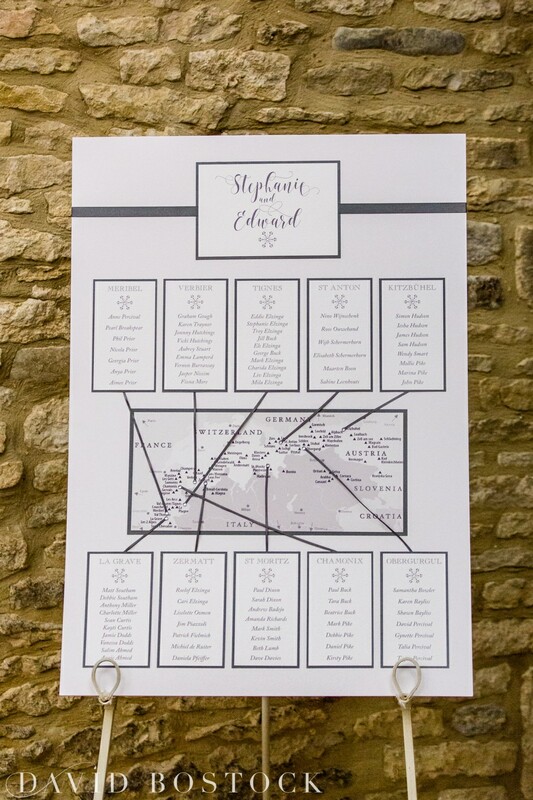 The couple’s cozy winter wedding was styled with silver and white, a ski map table plan to show off their love of skiing, and each table featuring a stunning winter arrangement of foliage and berries that sat around glass hurricane lanterns. 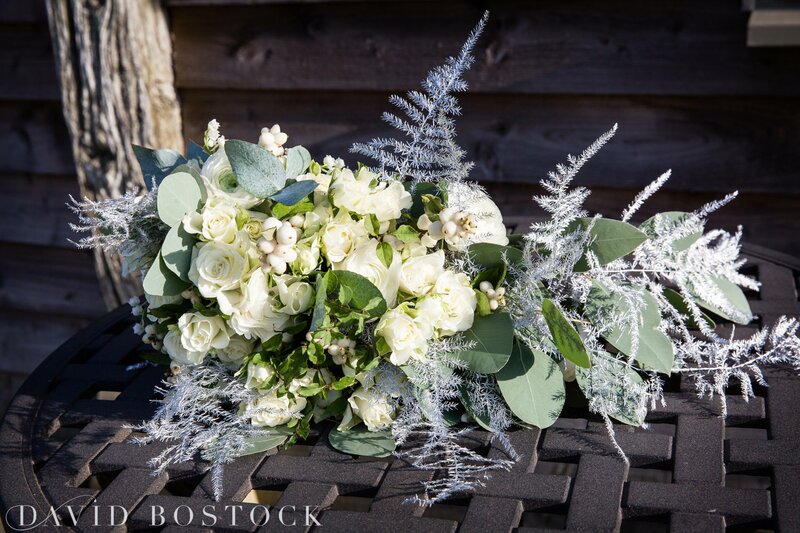 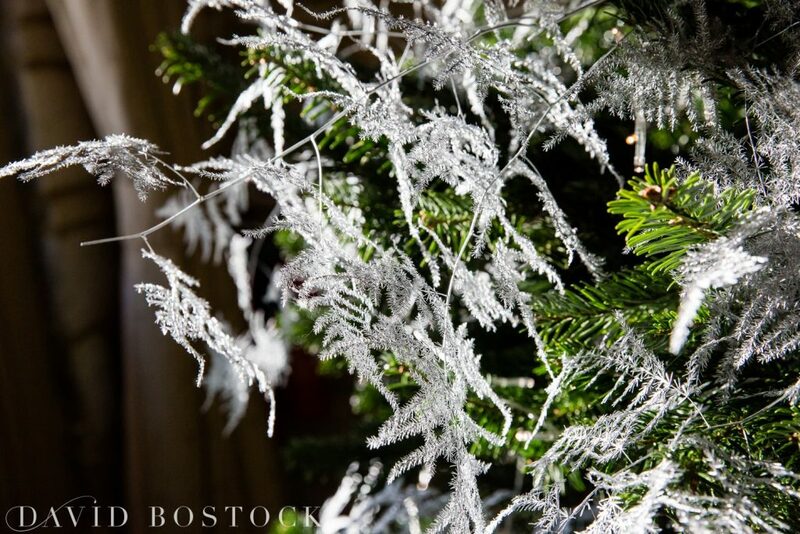 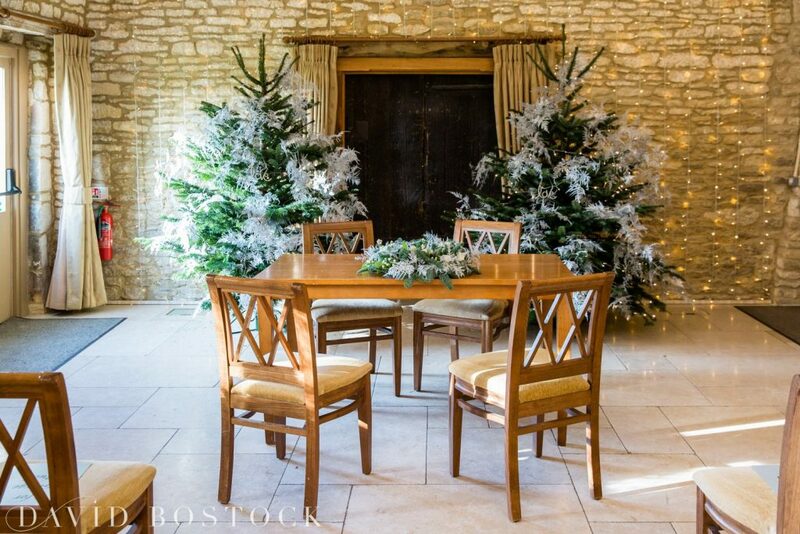 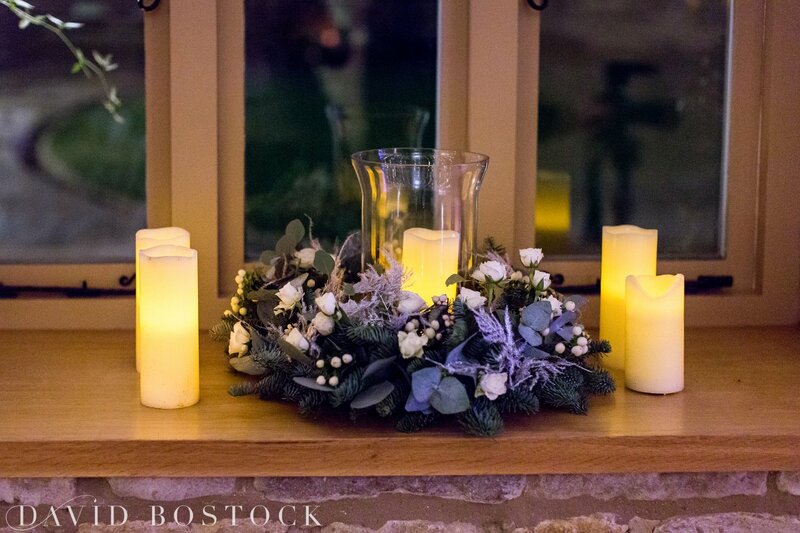 And of course it wouldn’t be a winter wedding without Christmas trees, two of these framed the ceremony perfectly, with added silver foliage to accentuate the cozy wedding vibe. 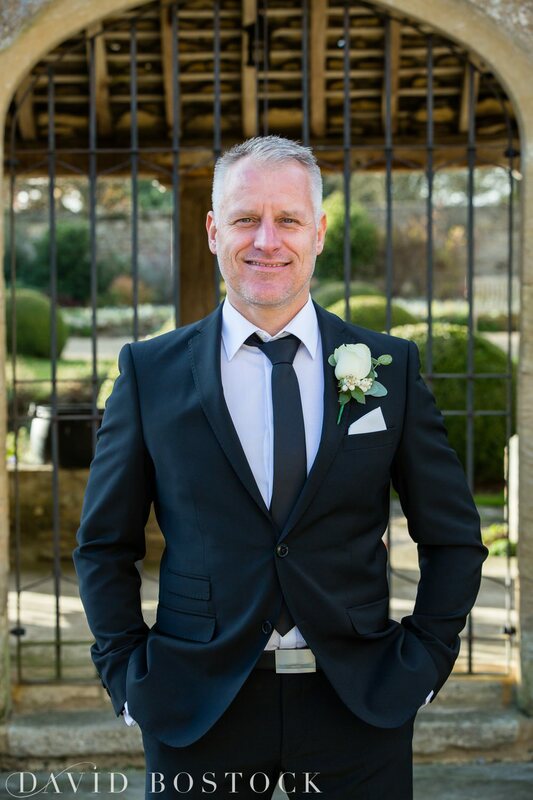 Stephanie wore an elegant A-line number by Suzanne Neville called Songbird, found at Ellie Sanderson Bridal Boutique, whilst Eddie opted for an Italian cut black suit with black tie. The ceremony itself matched the rather magical winter setting with the amazing registrar telling the story of how the couple met and the continued keeping the guests completely captivated through the entire service. 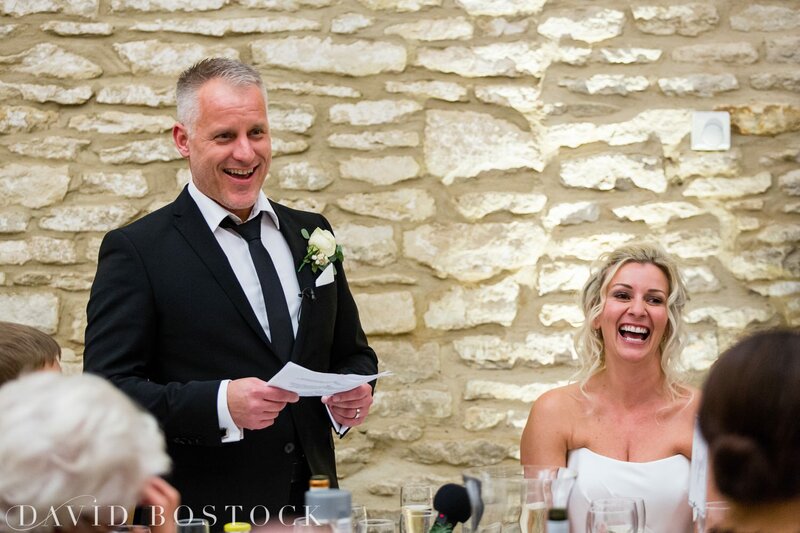 Stephanie’s brother acted as their master of ceremony, he was brilliantly entertaining and managed the flow of the day to a tee. 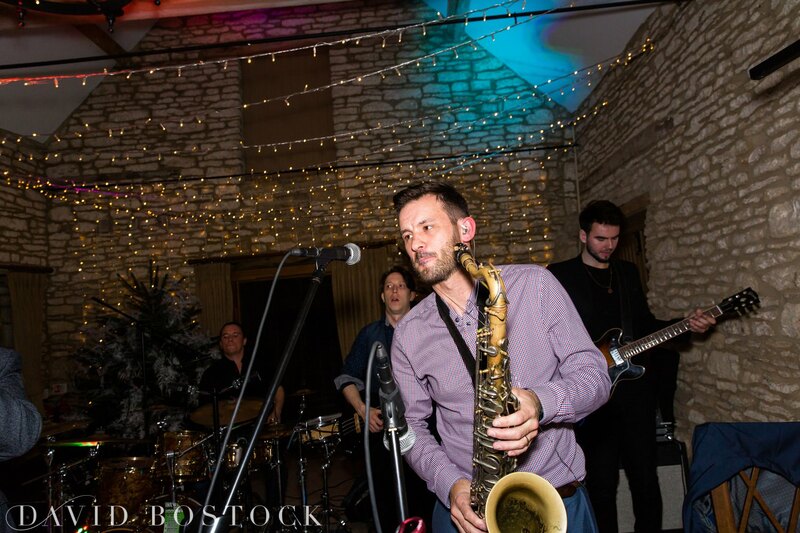 Following the meal dancing ensued to a fantastic six piece funk band called Party Up, these super talented musicians managed to get everyone on the dance floor and played everything from classics to modern numbers – a big hit with the whole crowd! 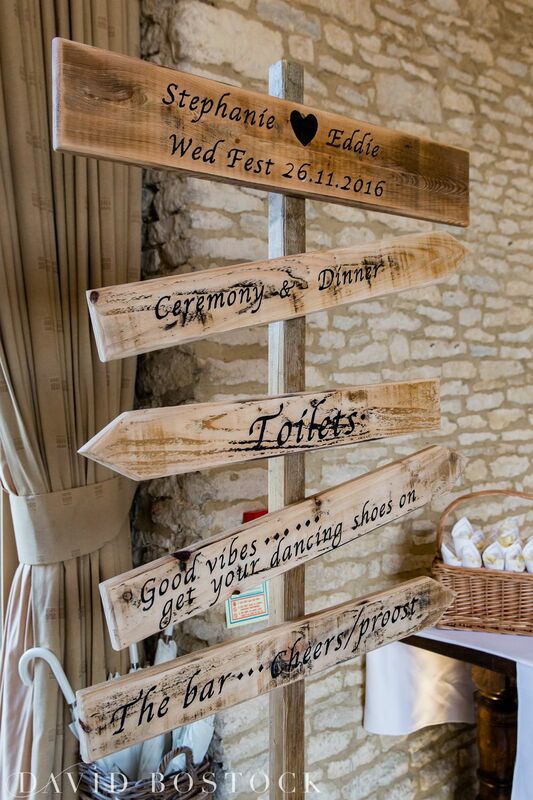 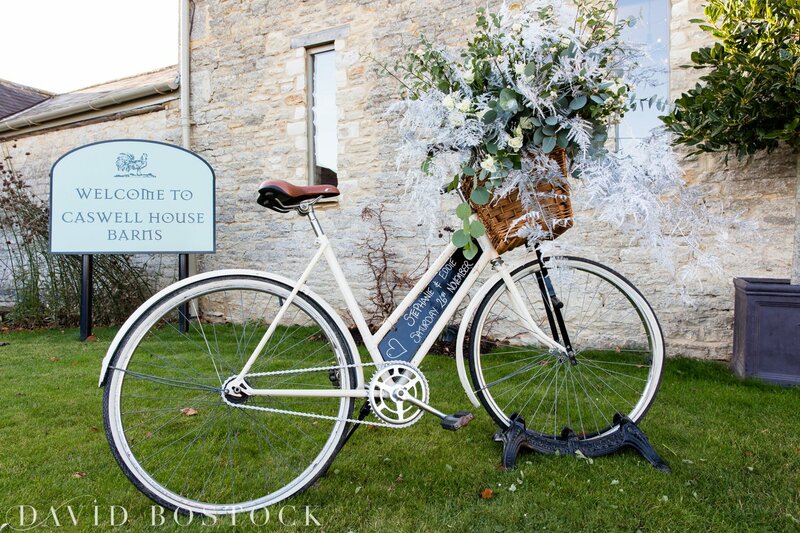 Oxfordshire Bespoke Wedding signs: call David Percival tel 07516 456907 for a bespoke quote for any/all signage. 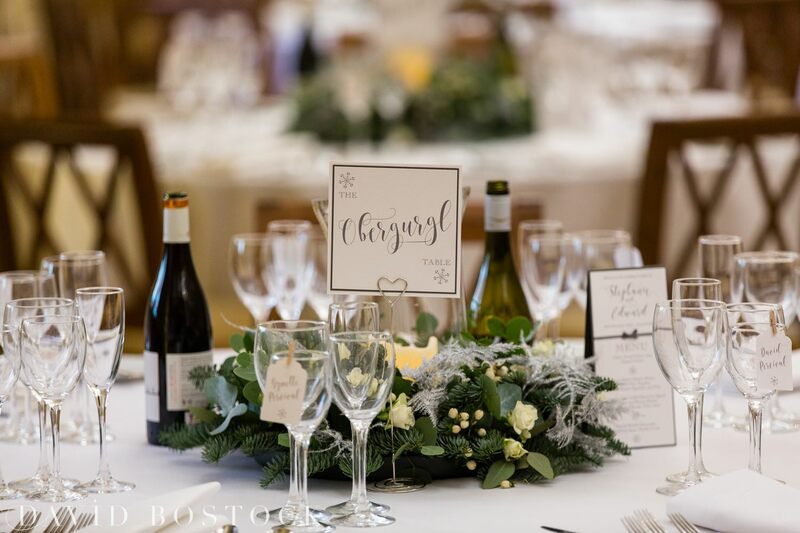 Catering: Indulgence – http://www.indulgenceboutiquehospitality.co.uk Caswell House catering, details supplied through Caswell House. 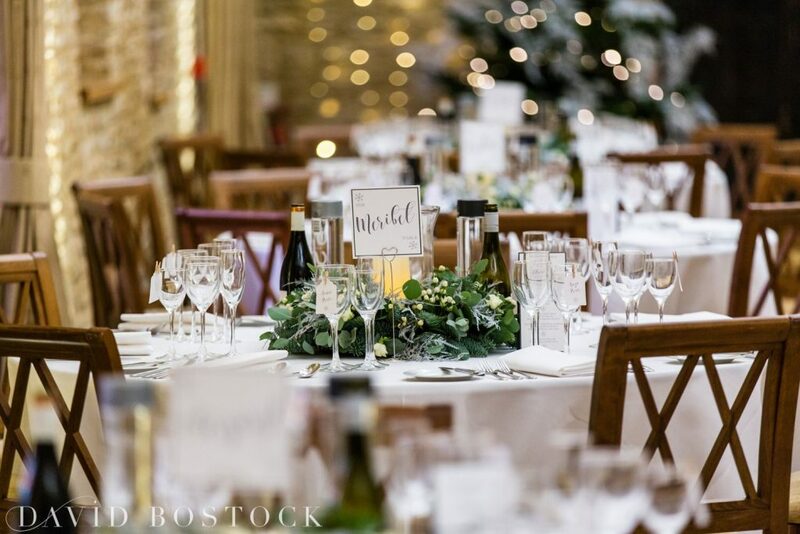 They provide a host of sample of seasonal menu’s with the option of choosing a bespoke menu, which we did (to combine Dutch & English cuisine and some of our favourite general dishes). 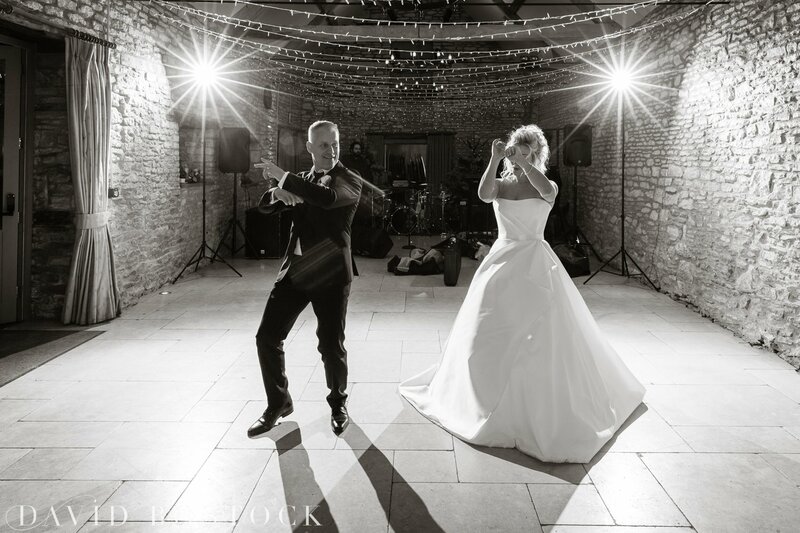 The couple booked 2 menu’s which they sampled at their fabulous bar in Banbury. 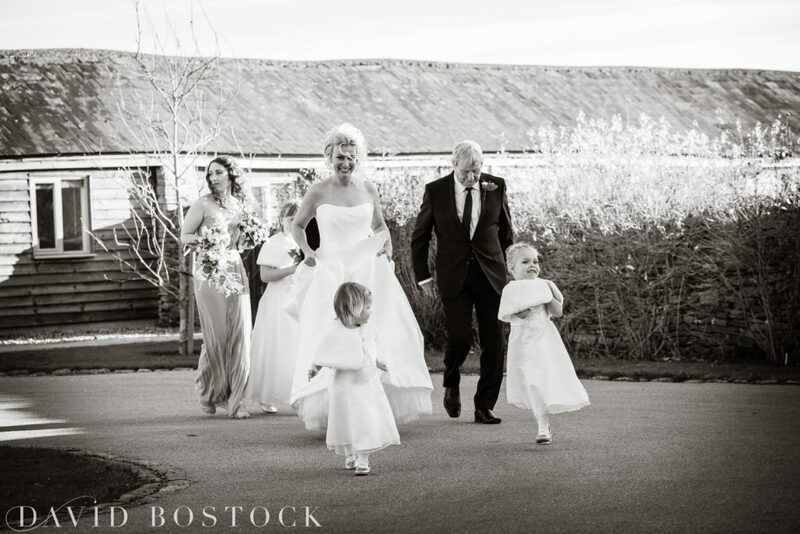 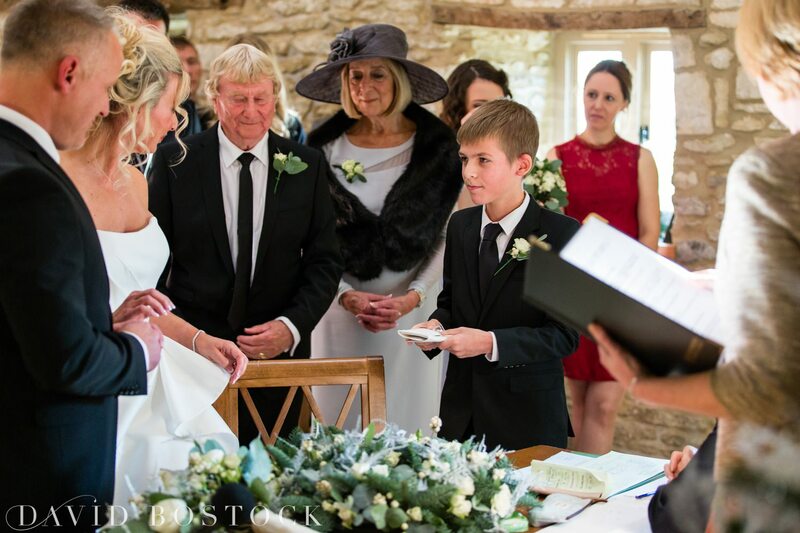 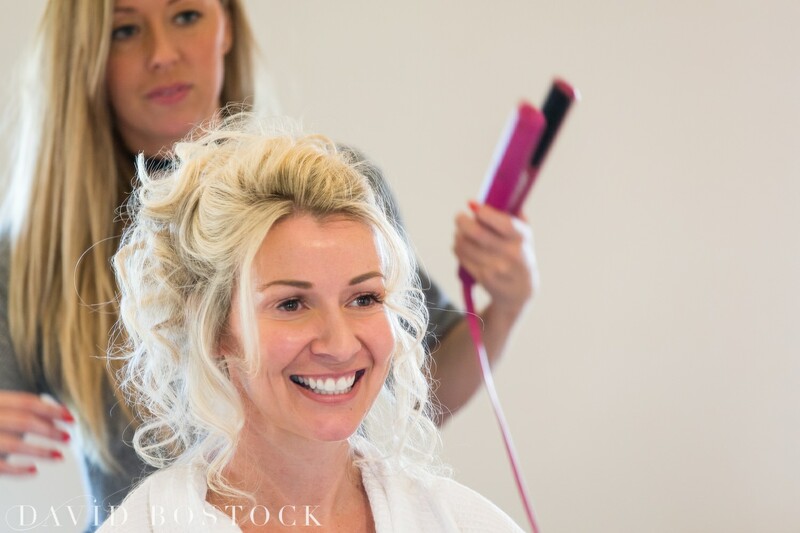 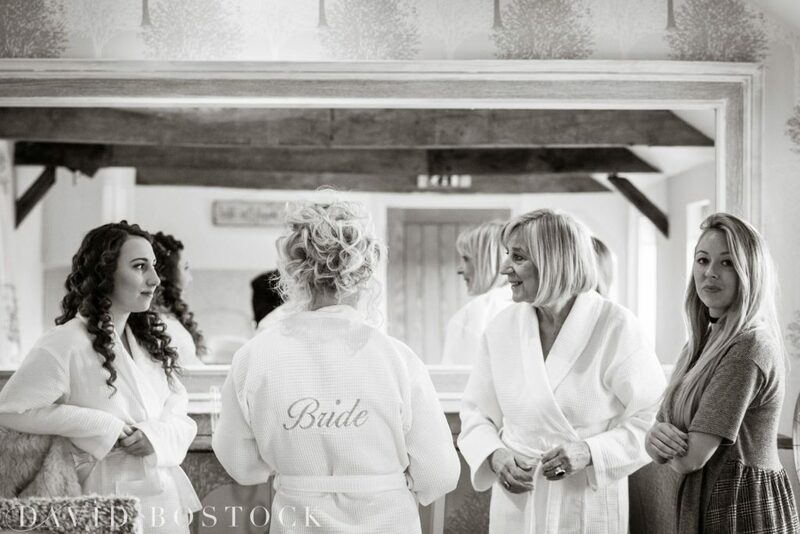 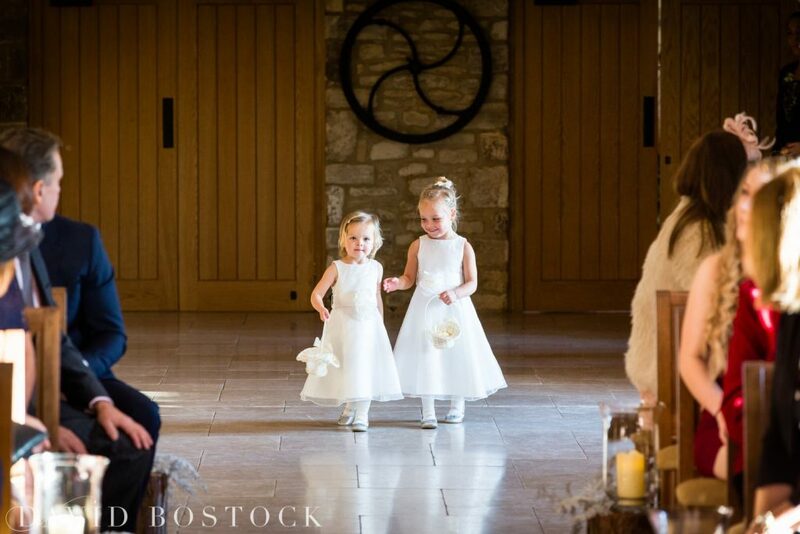 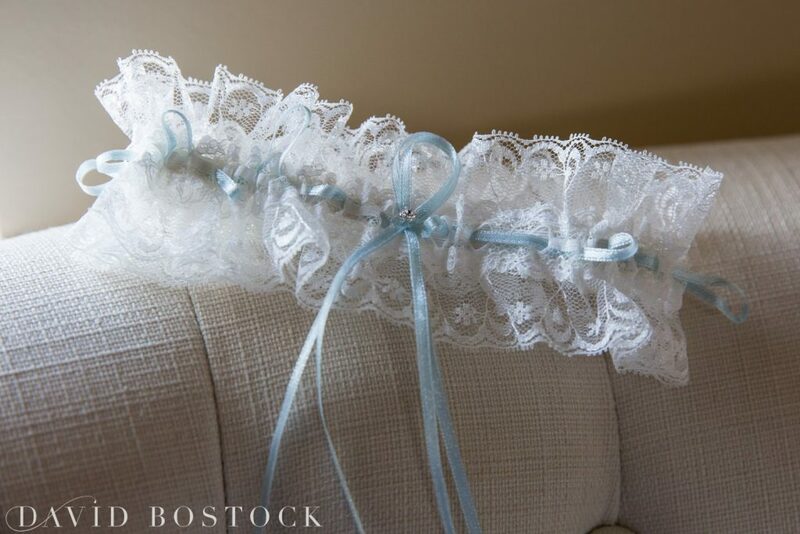 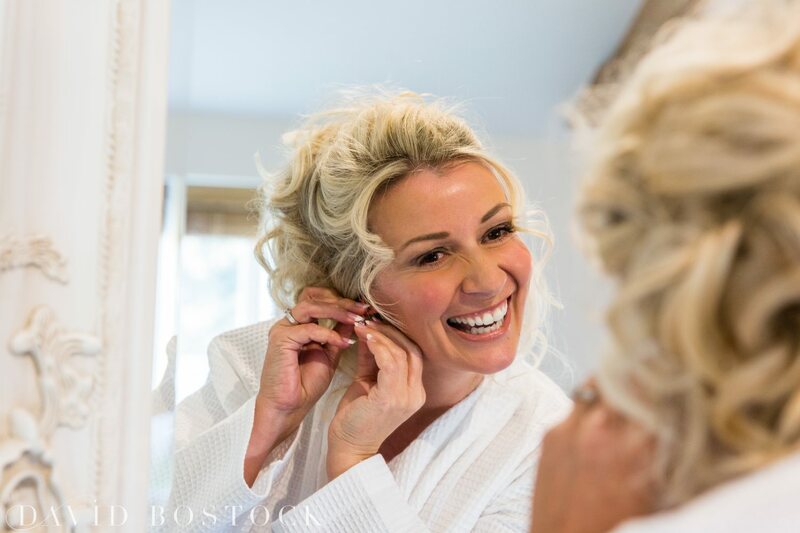 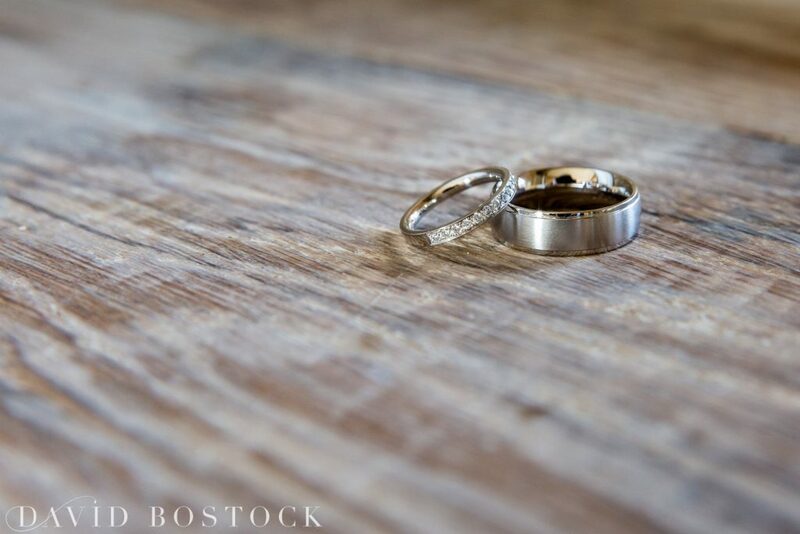 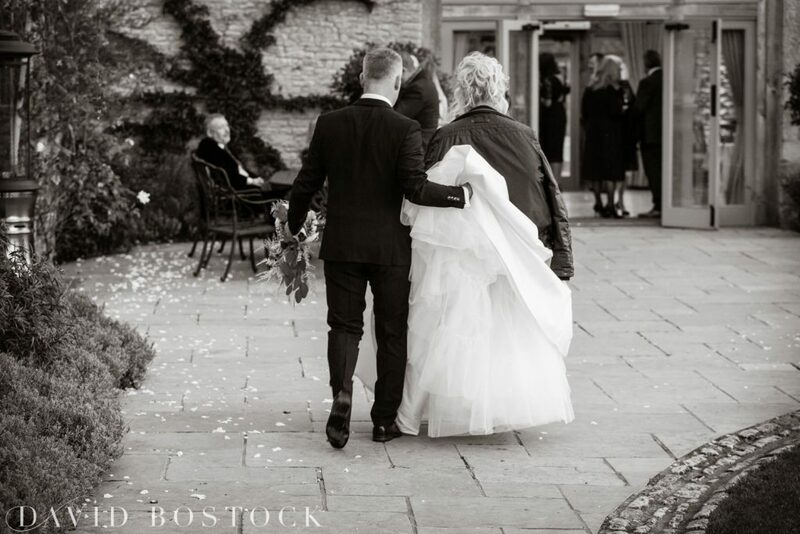 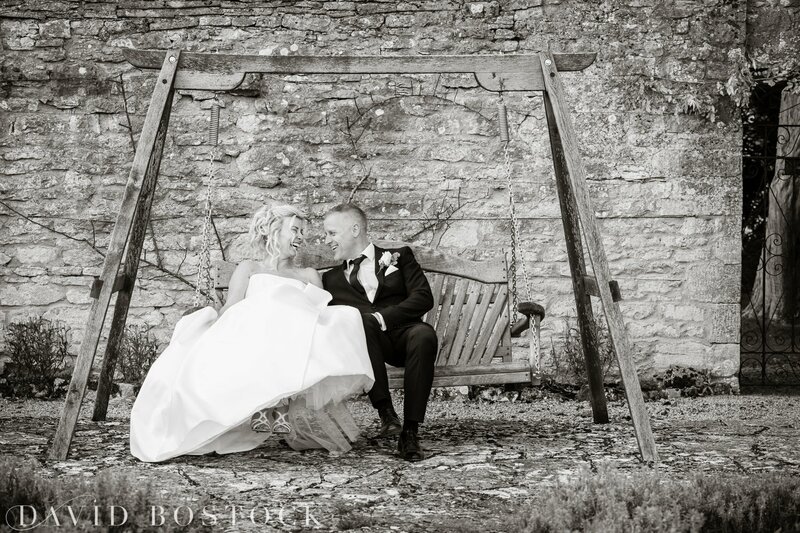 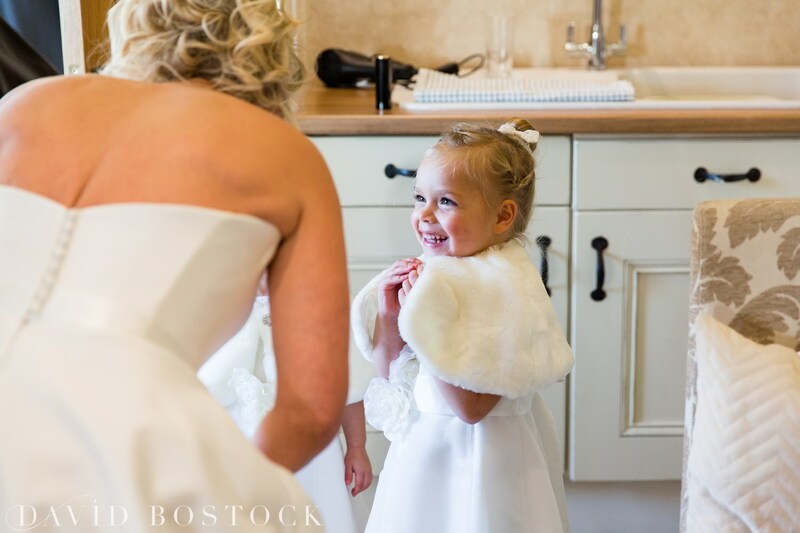 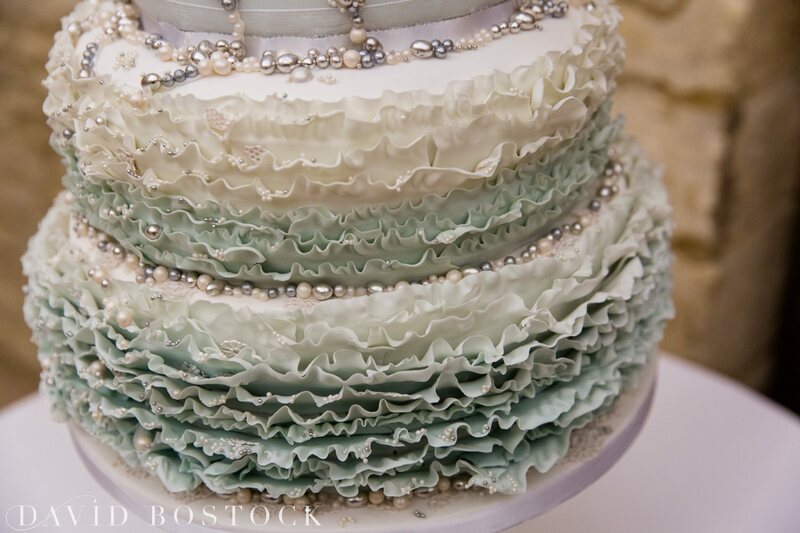 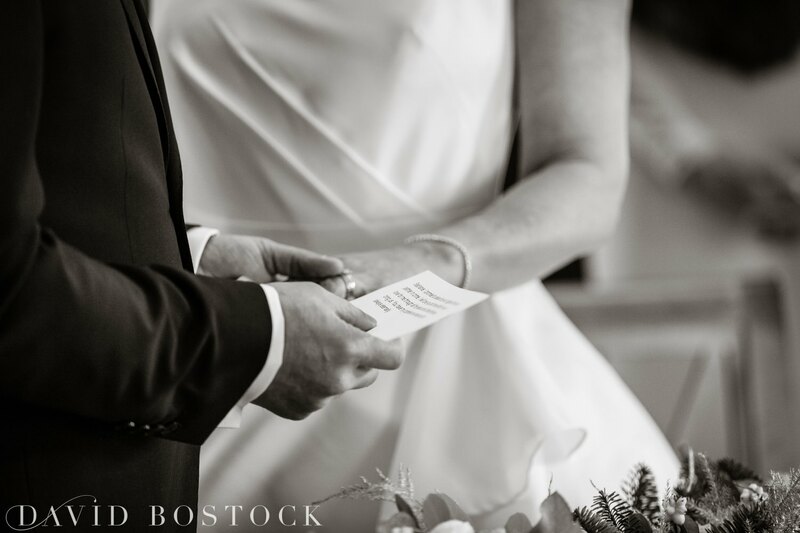 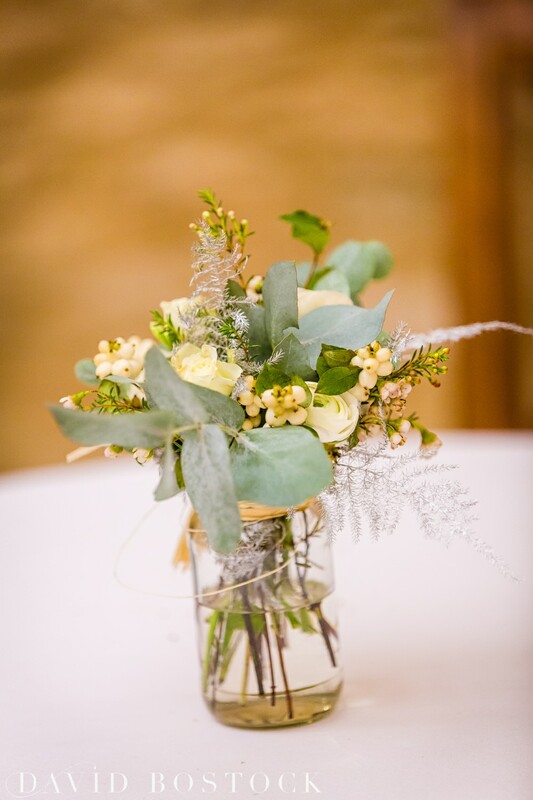 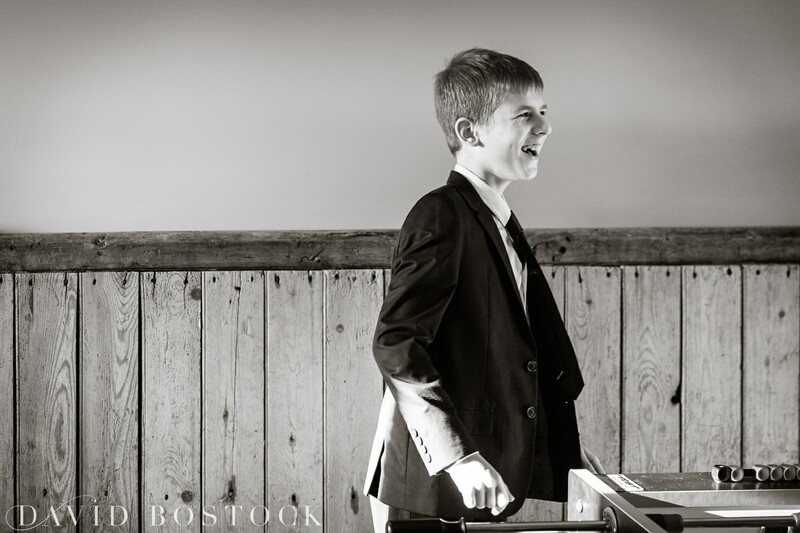 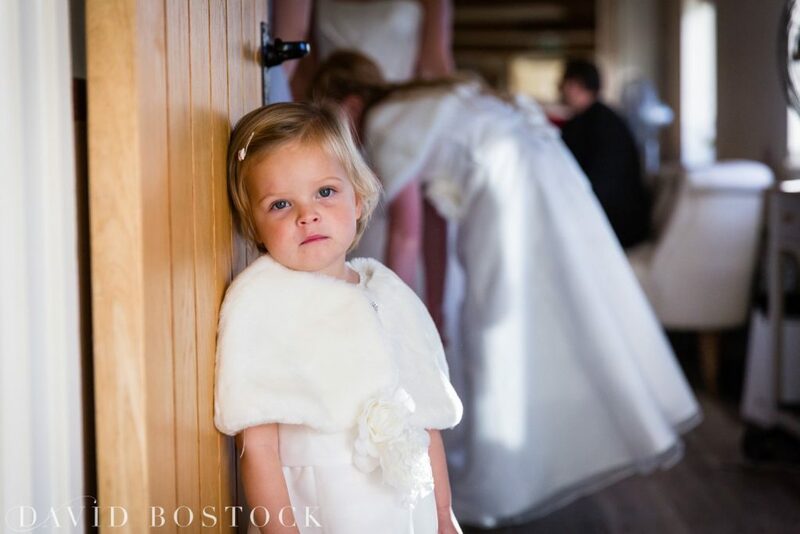 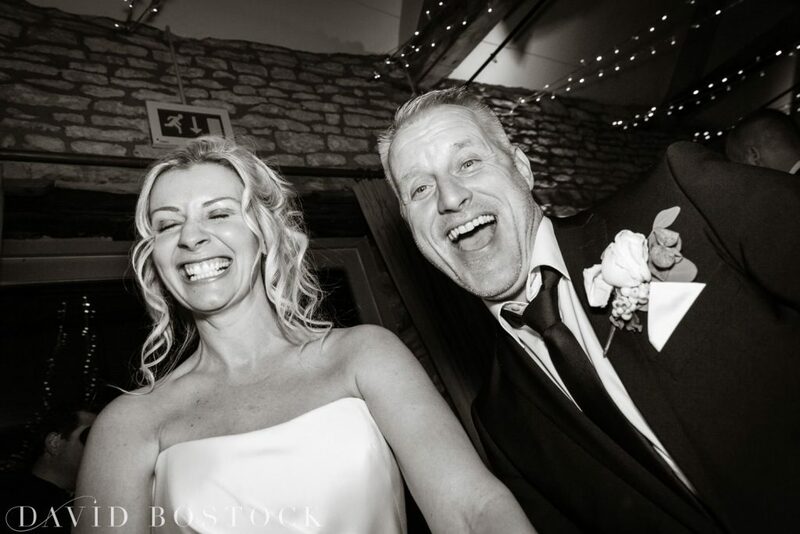 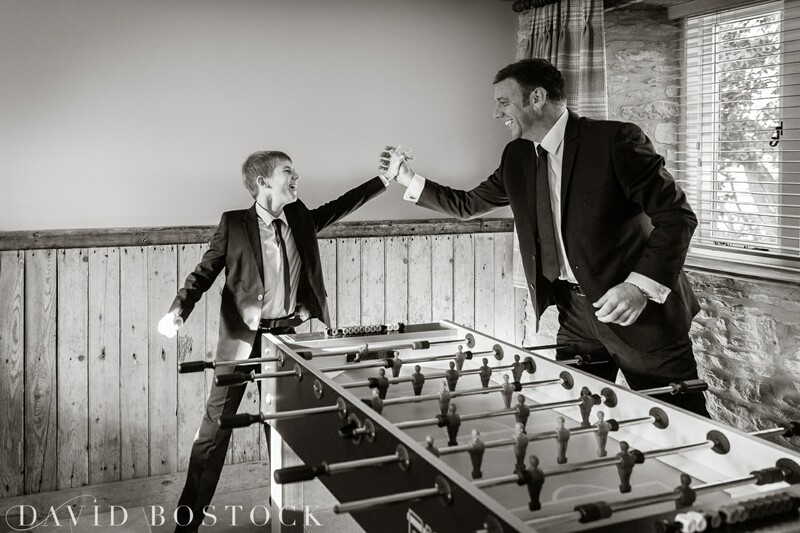 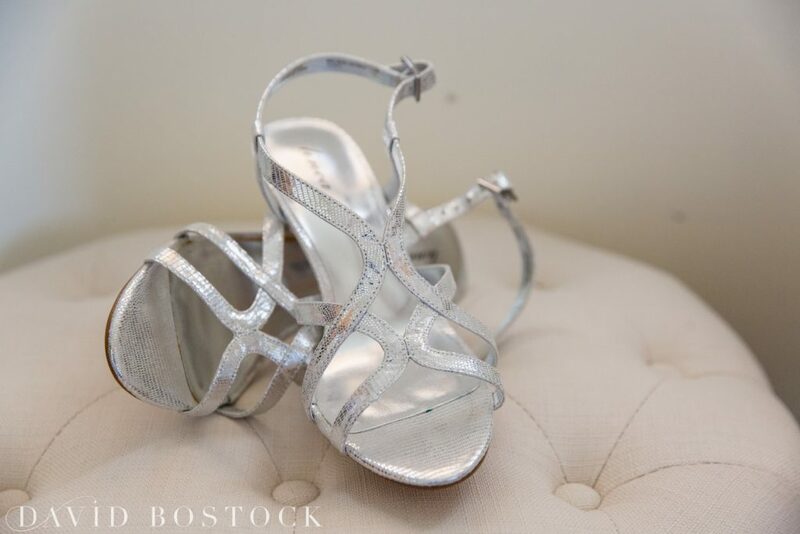 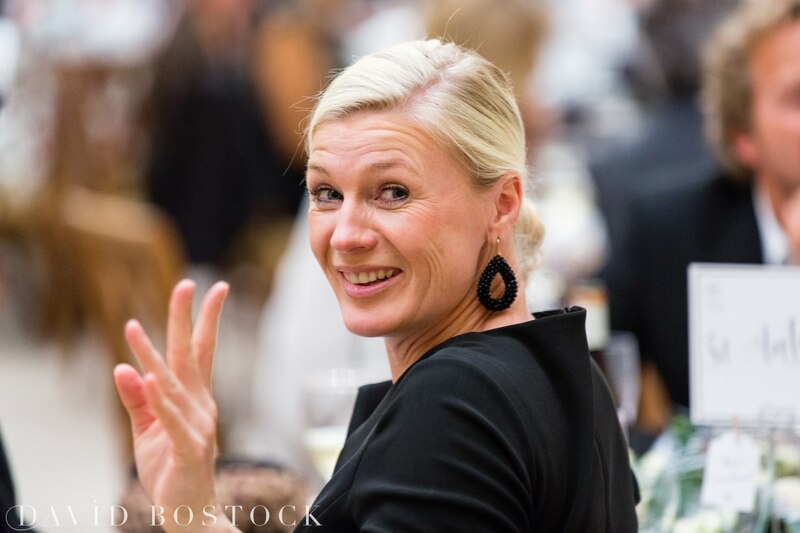 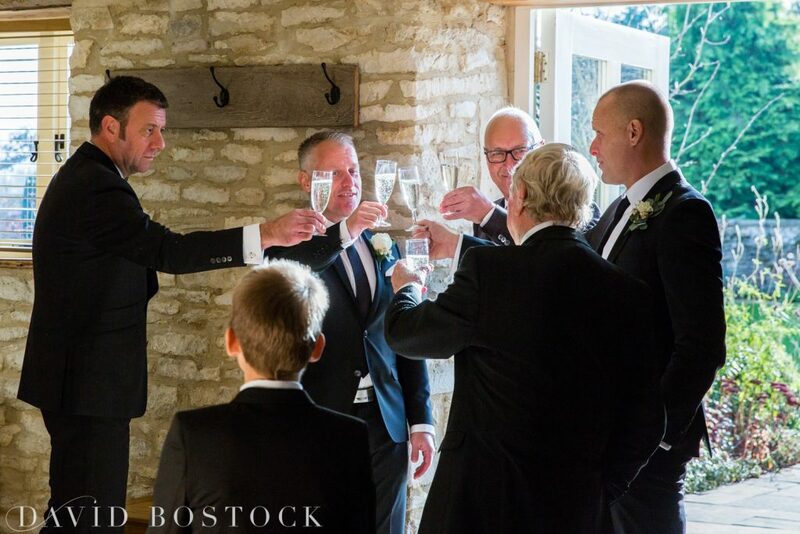 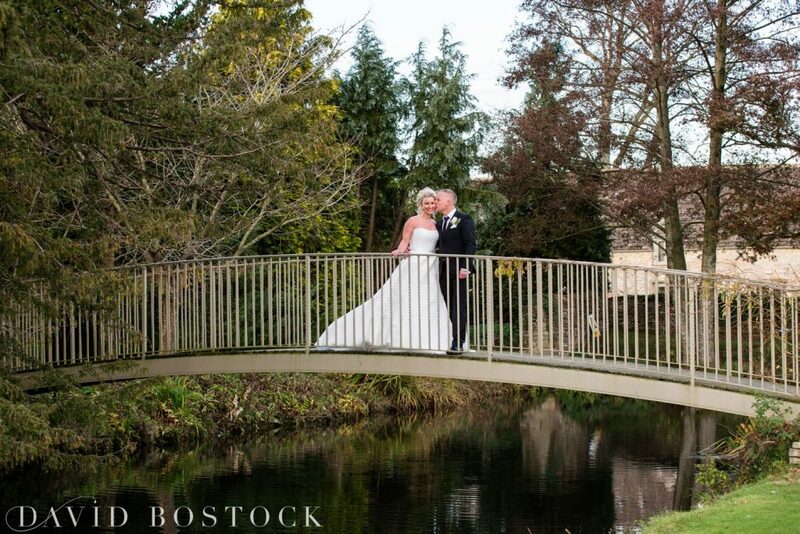 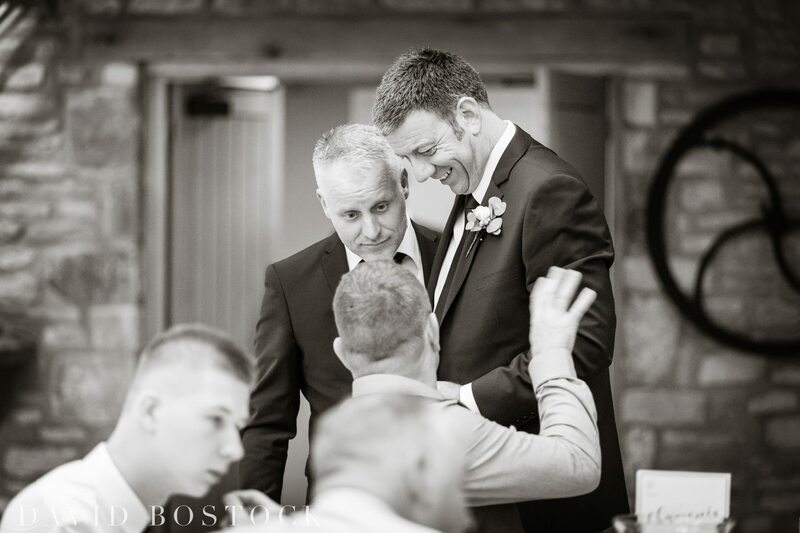 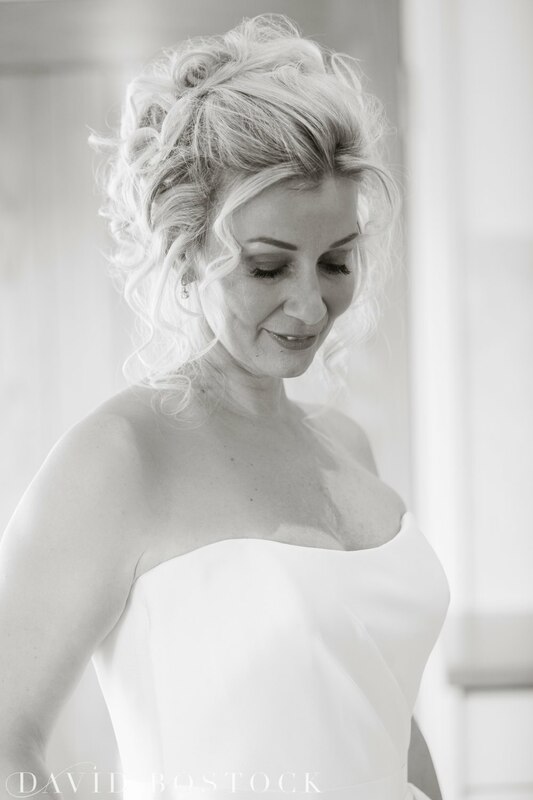 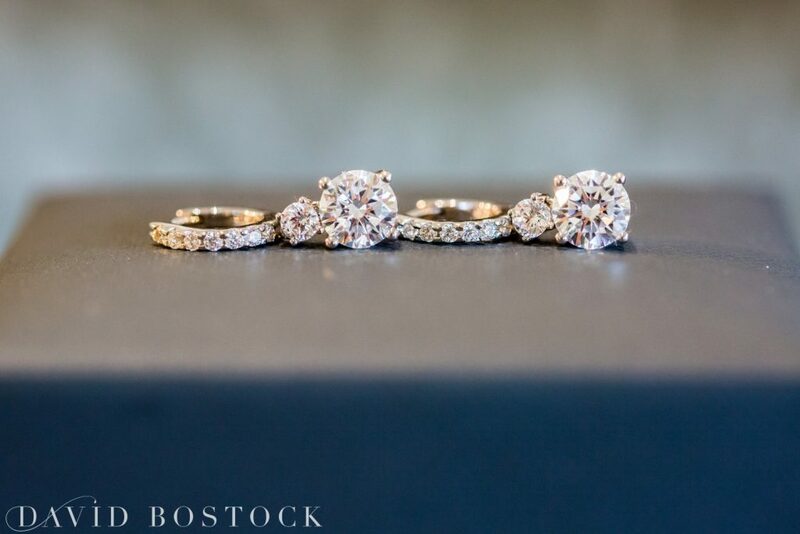 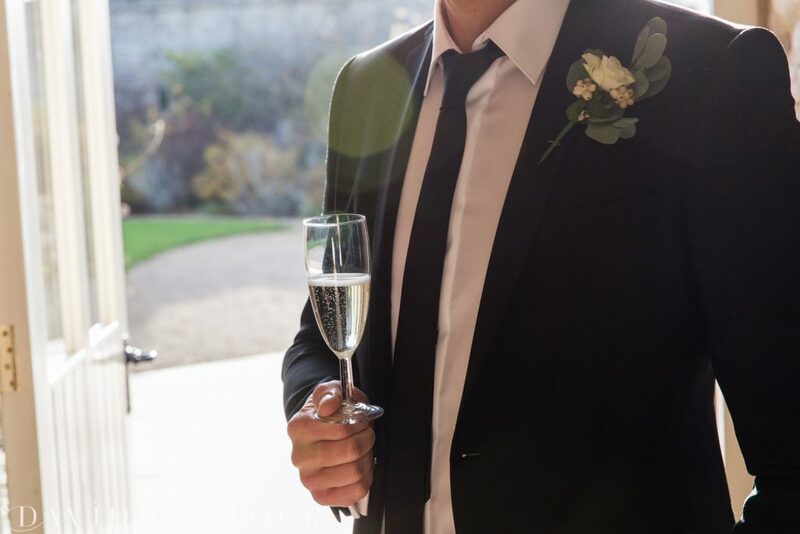 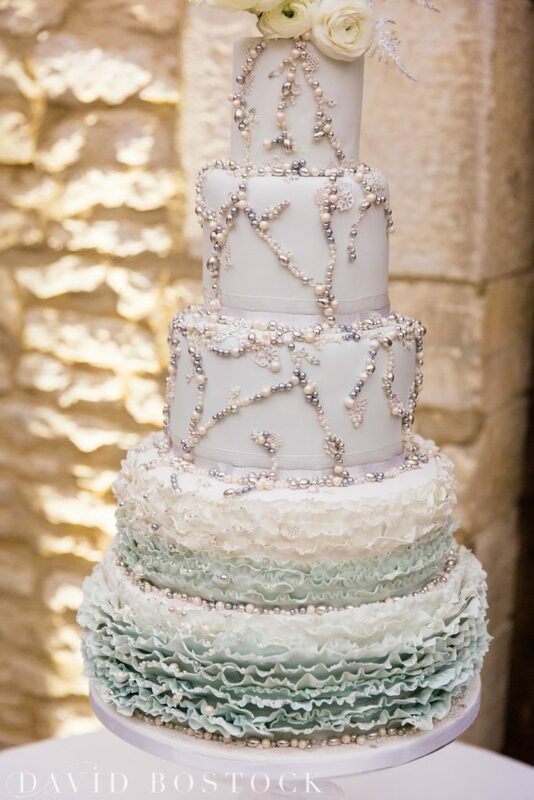 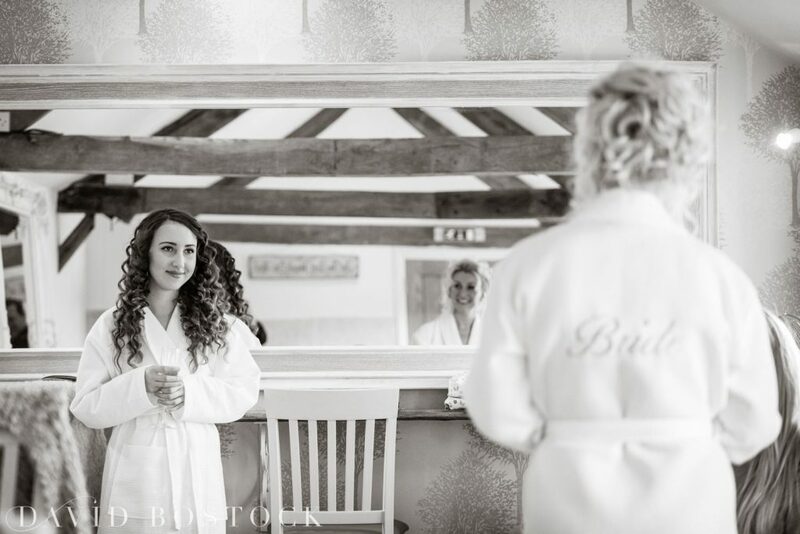 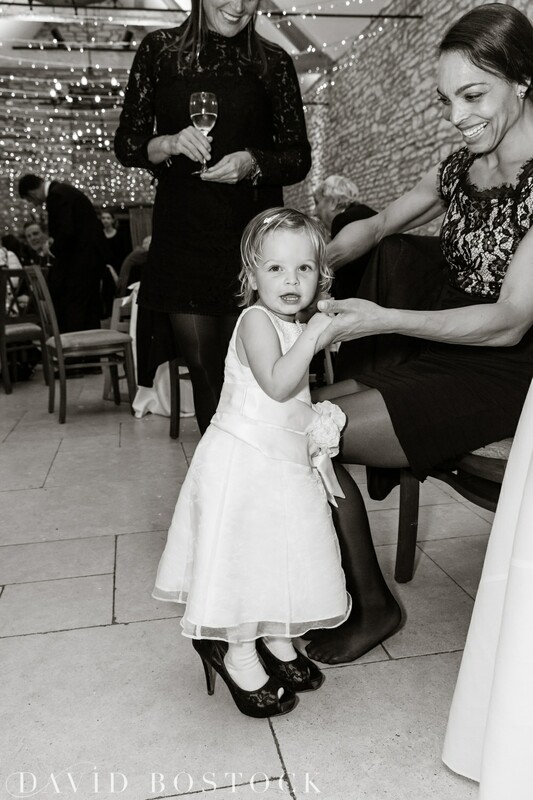 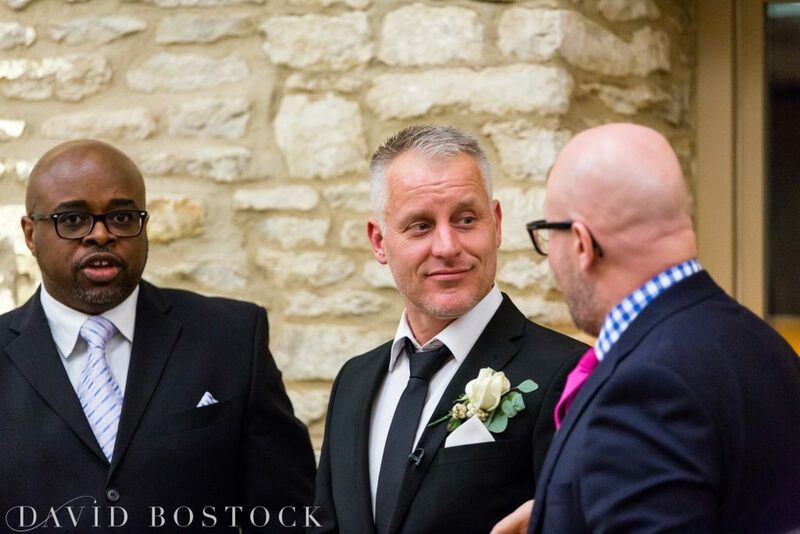 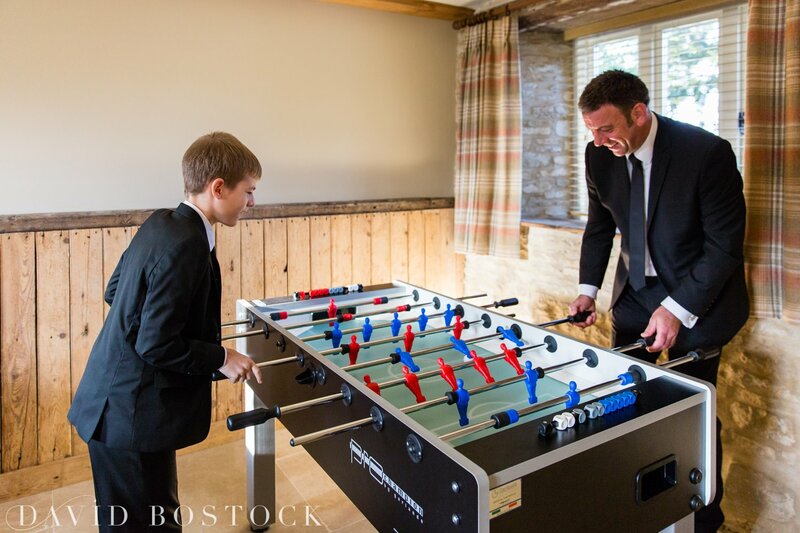 I love it when I get comments about the weddings I post up here so please leave me a comment……..